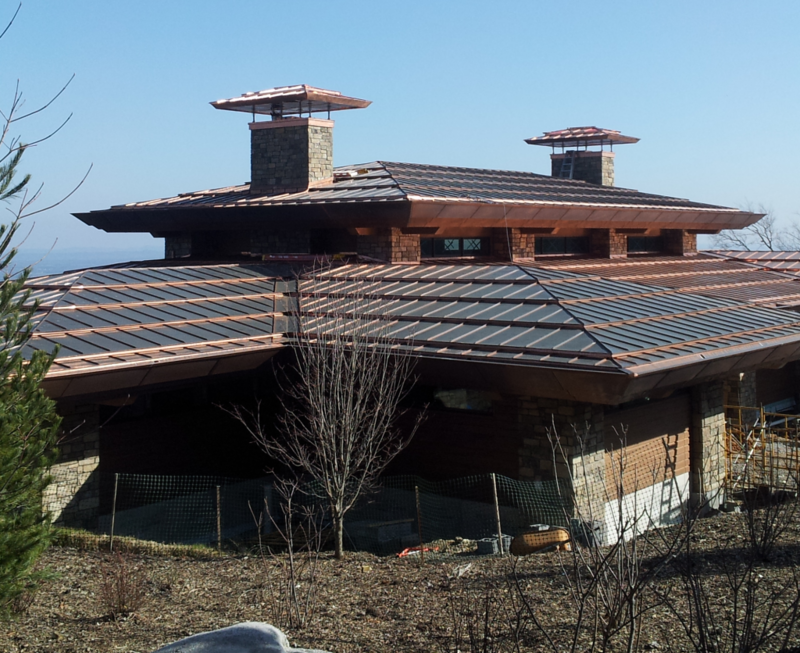 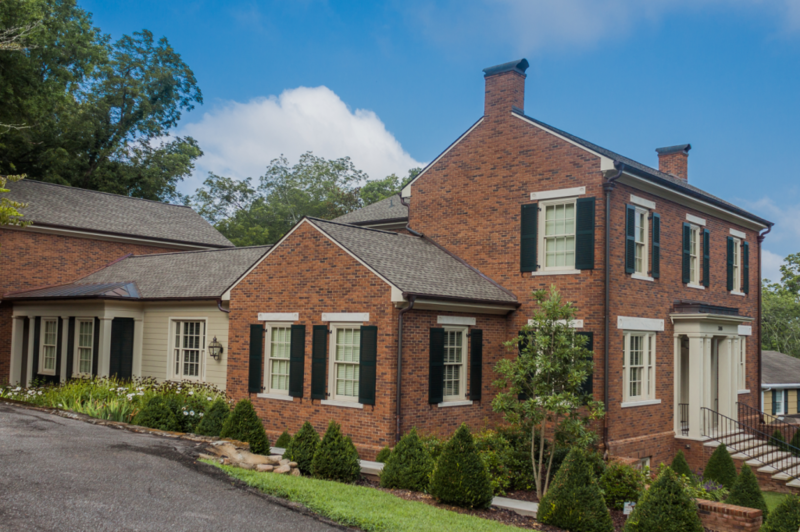 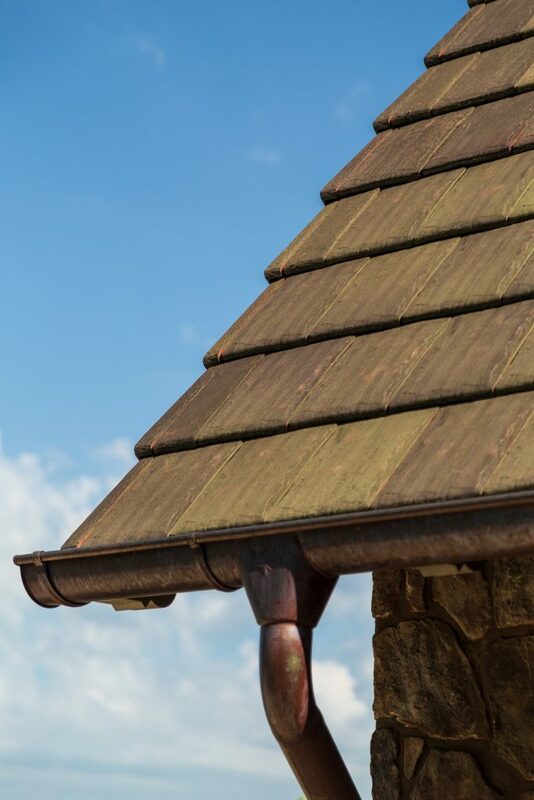 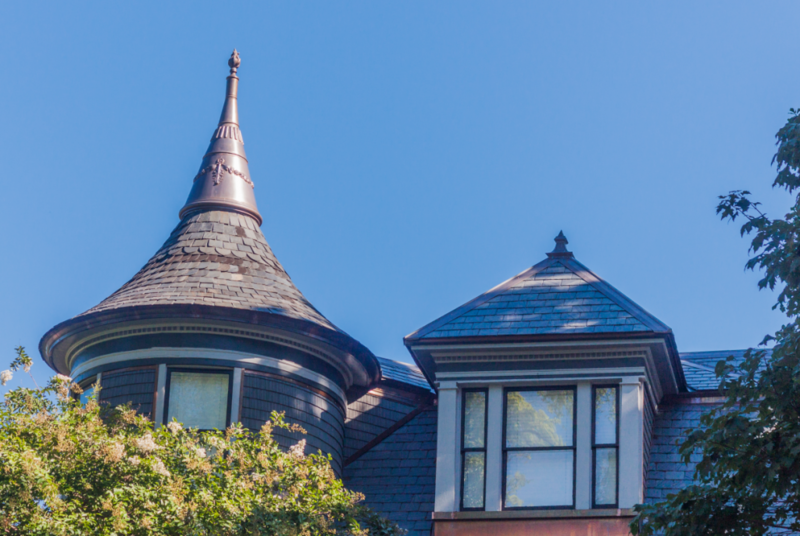 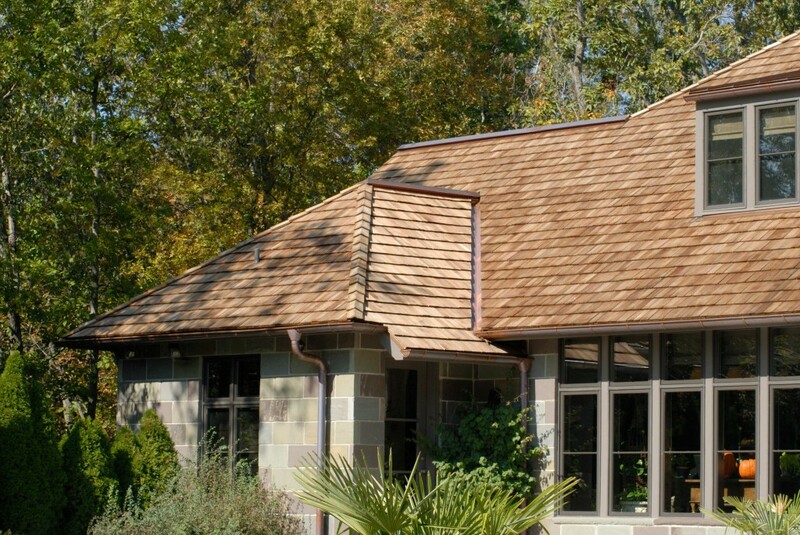 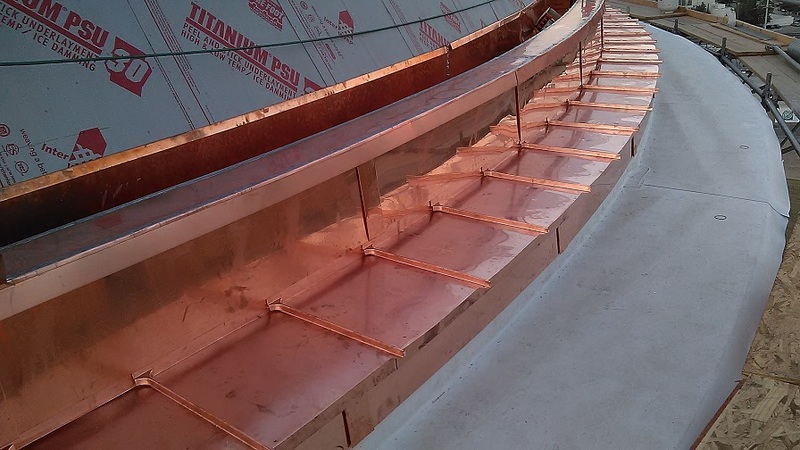 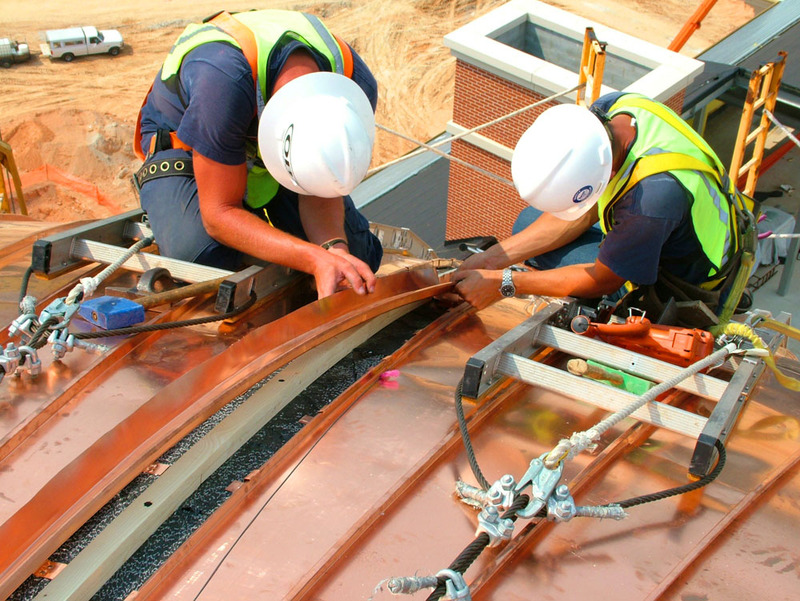 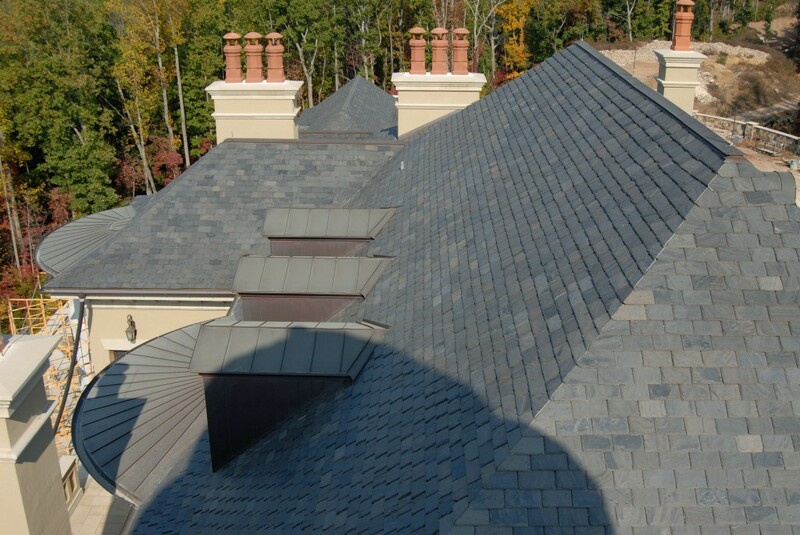 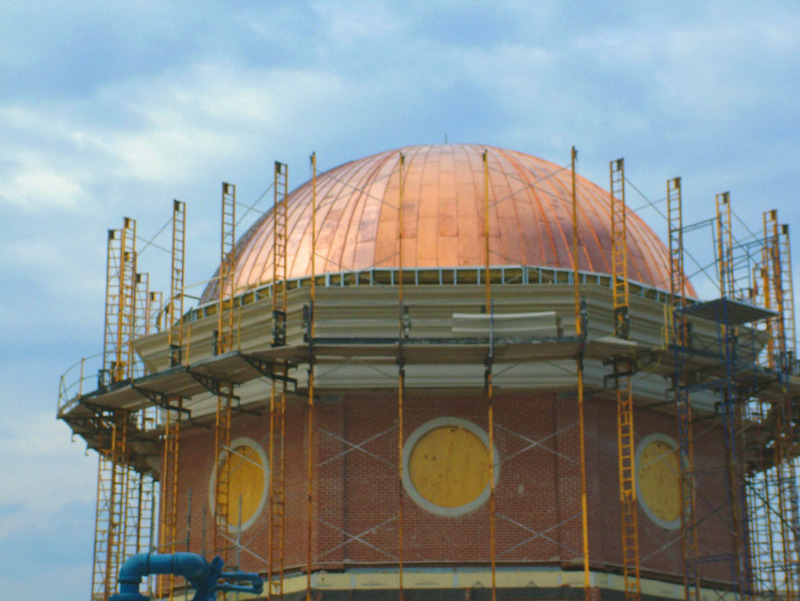 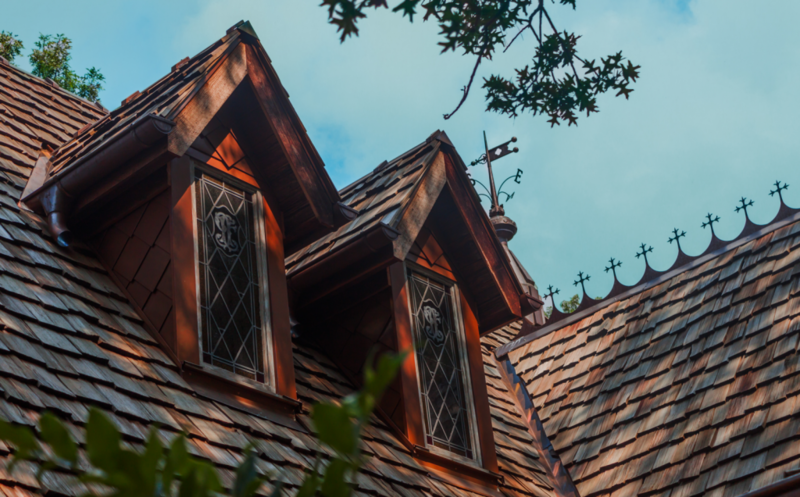 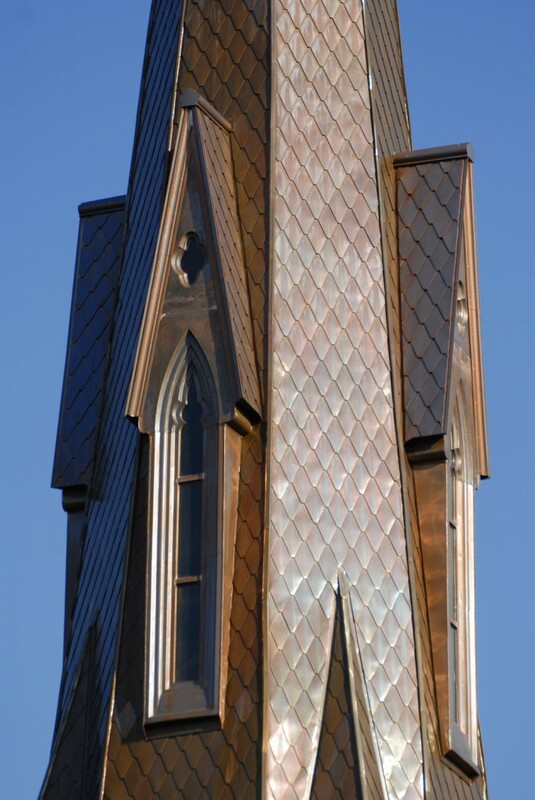 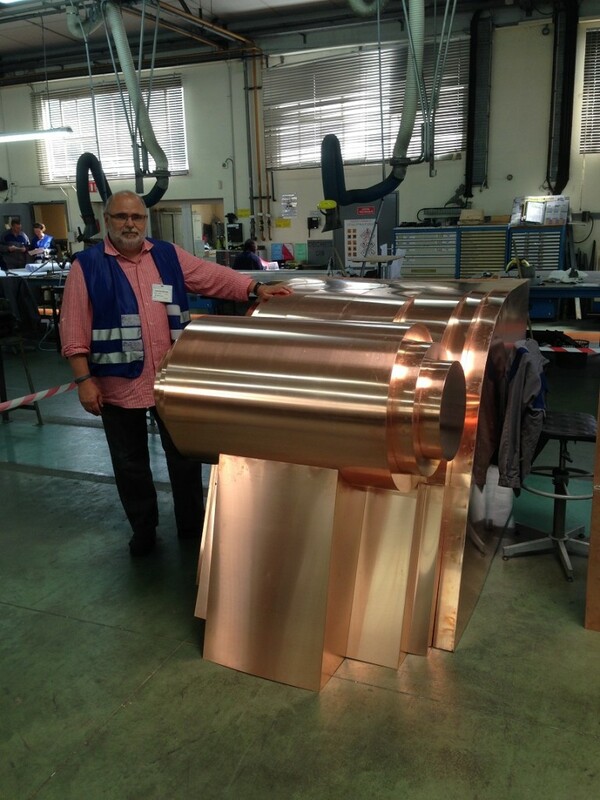 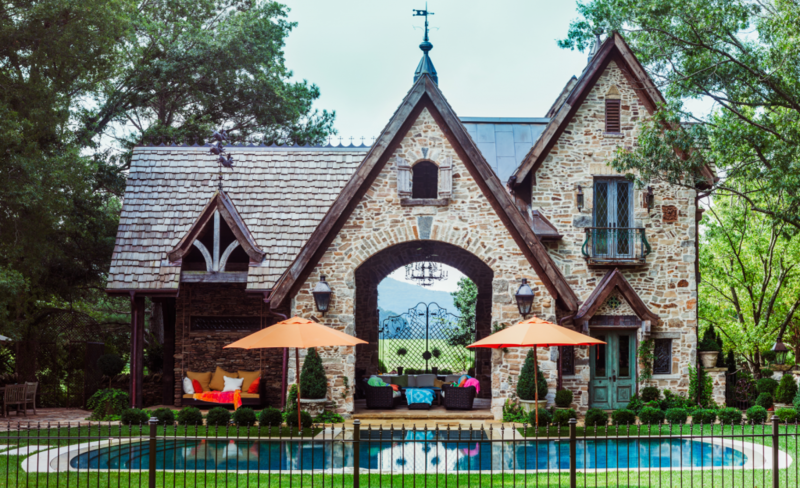 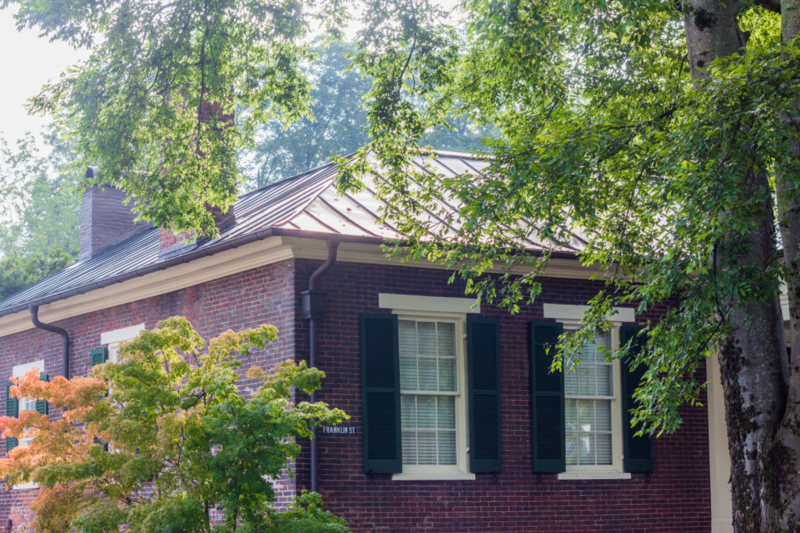 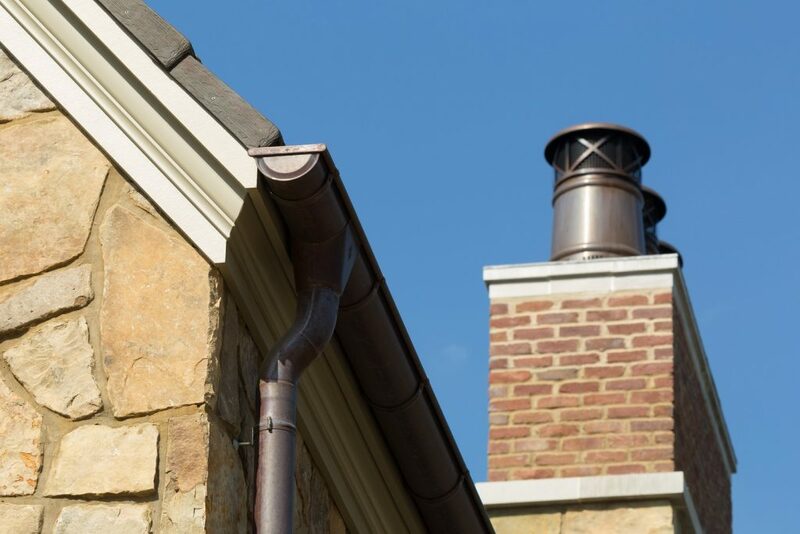 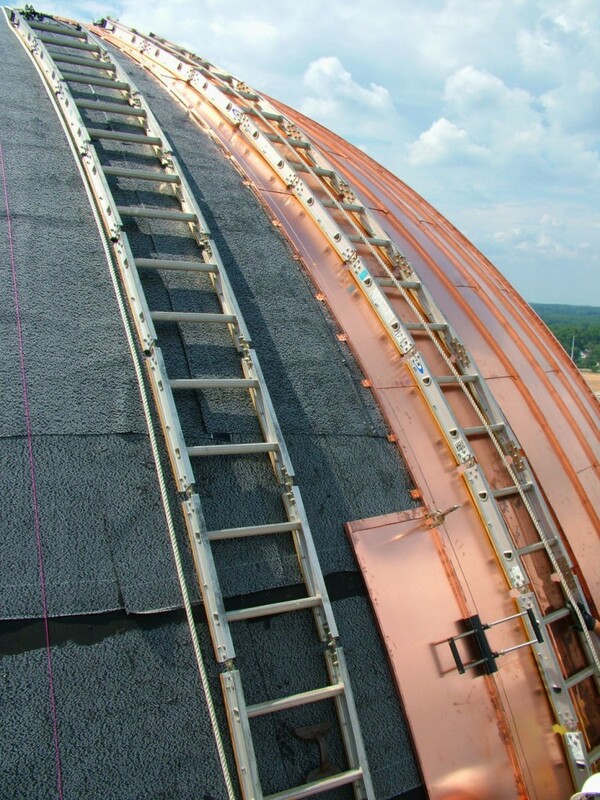 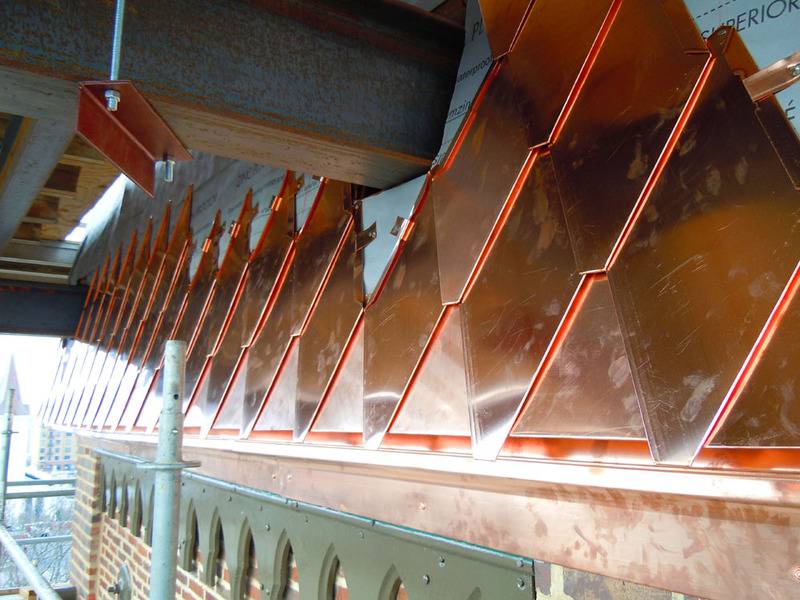 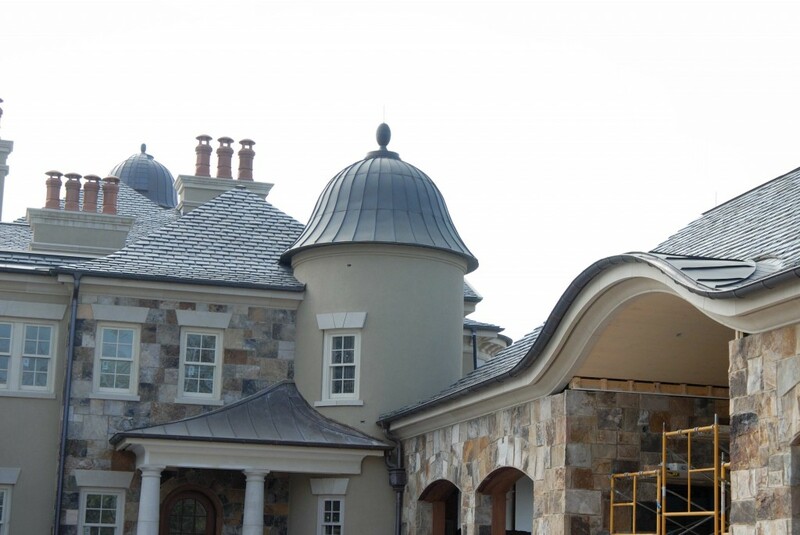 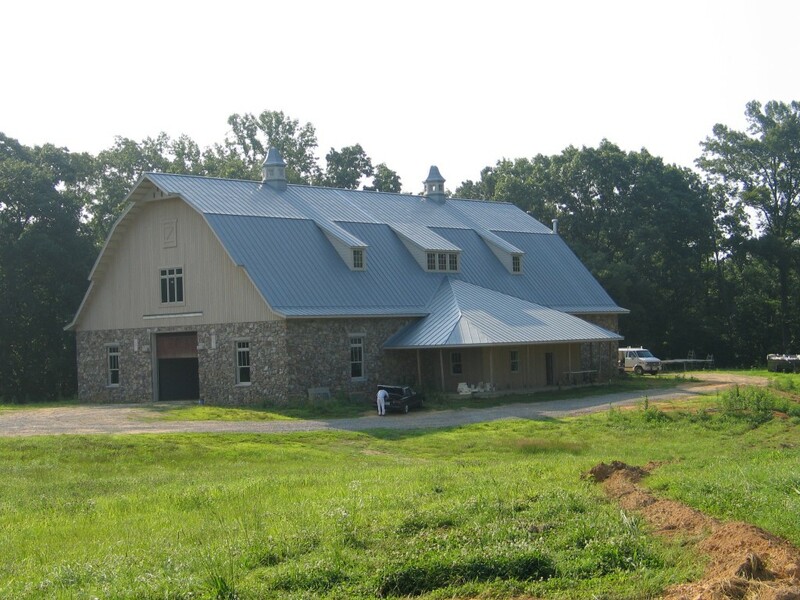 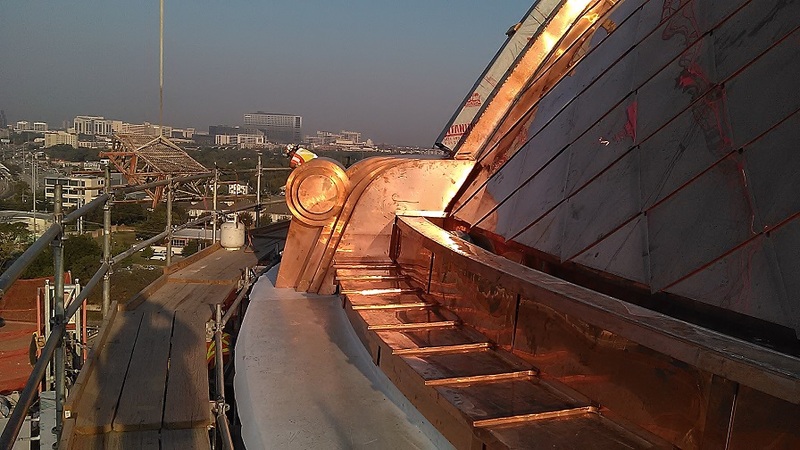 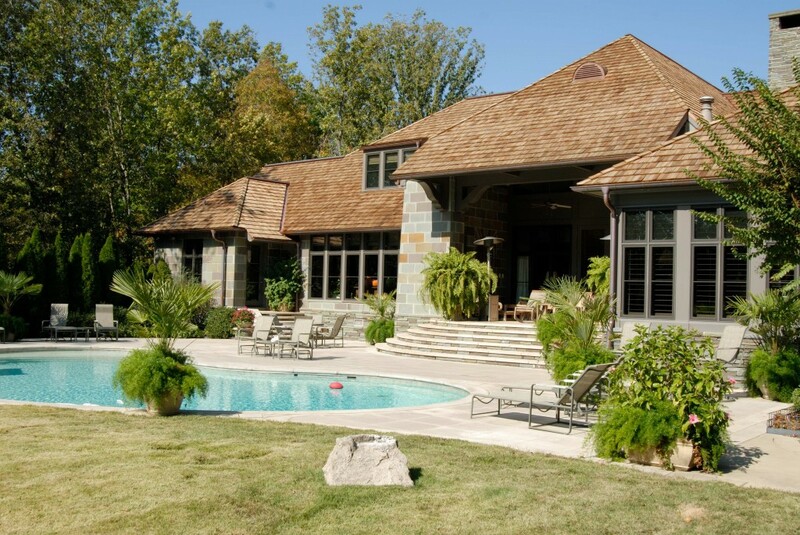 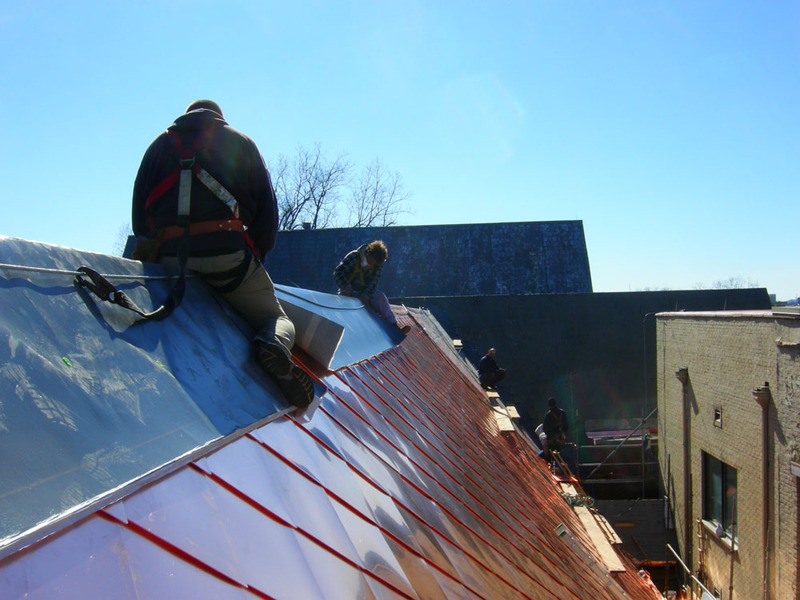 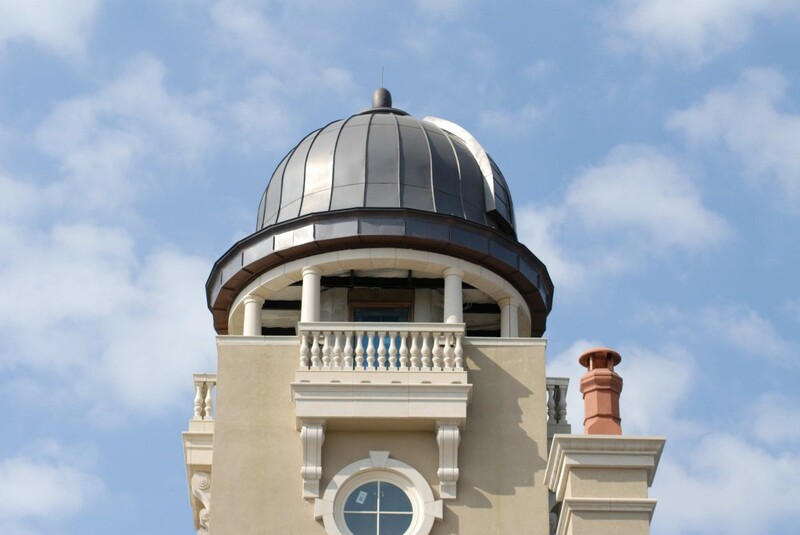 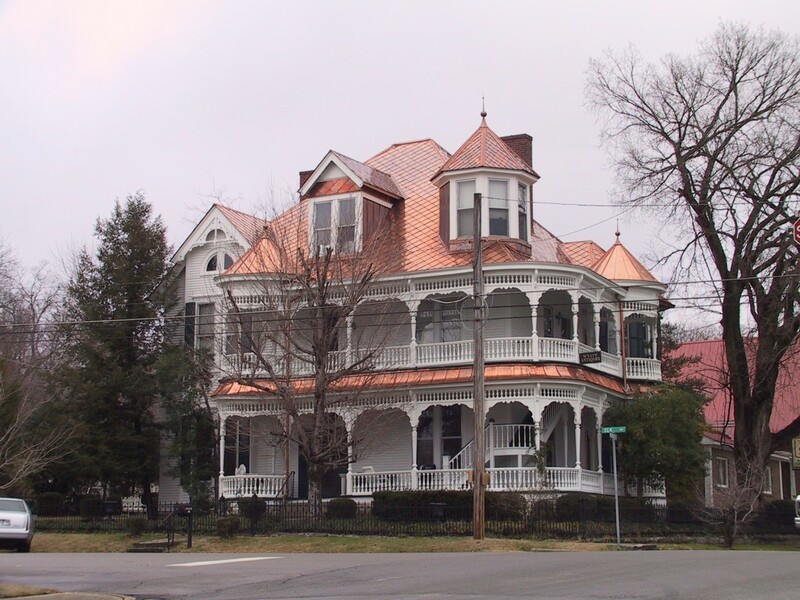 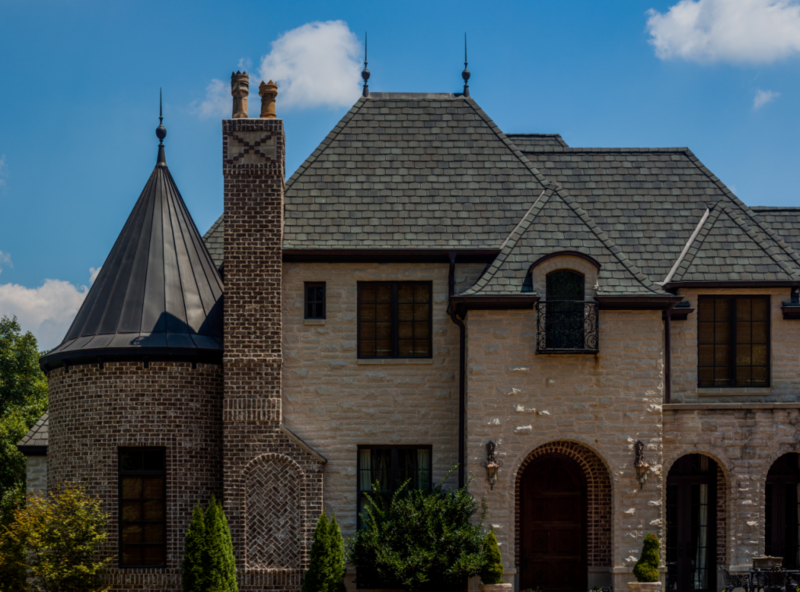 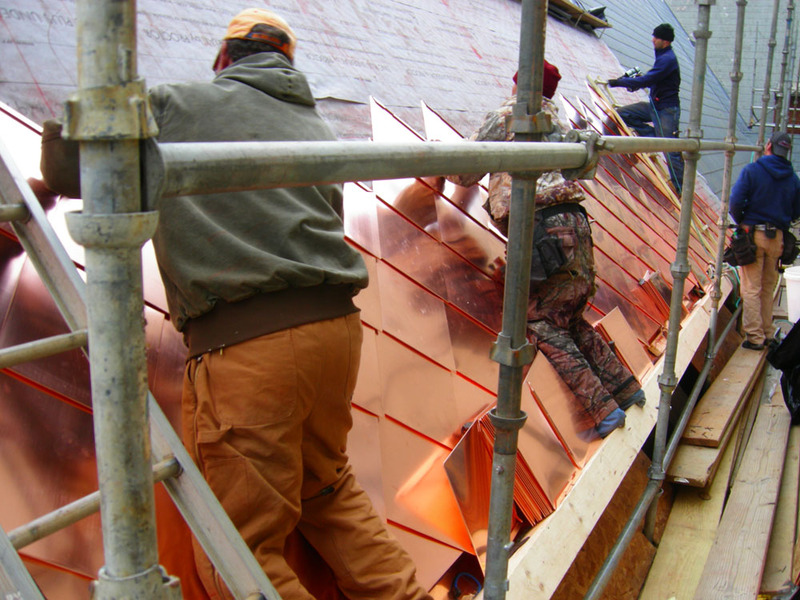 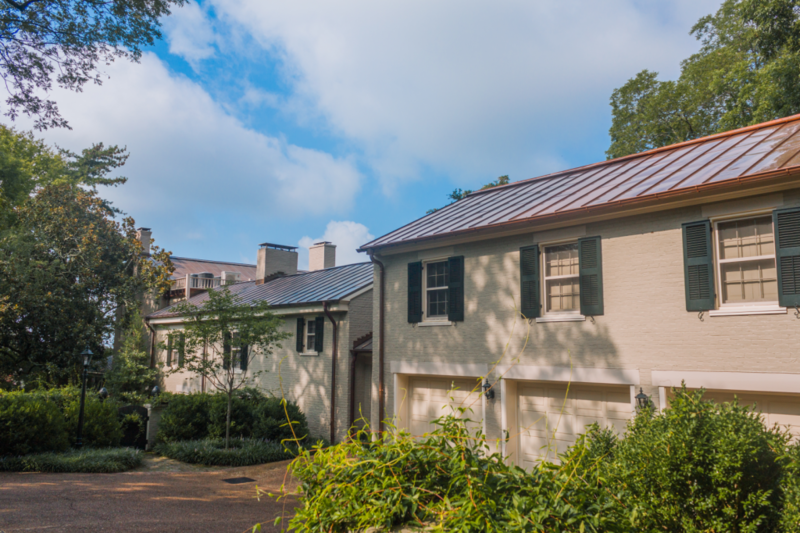 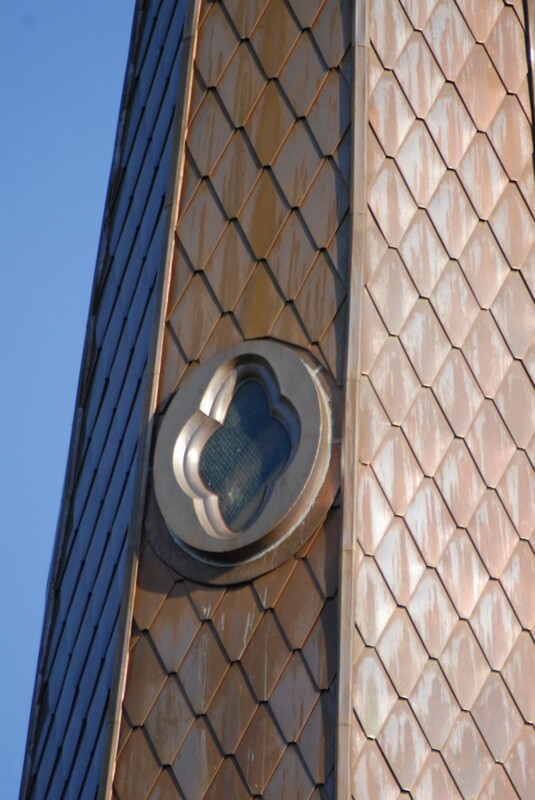 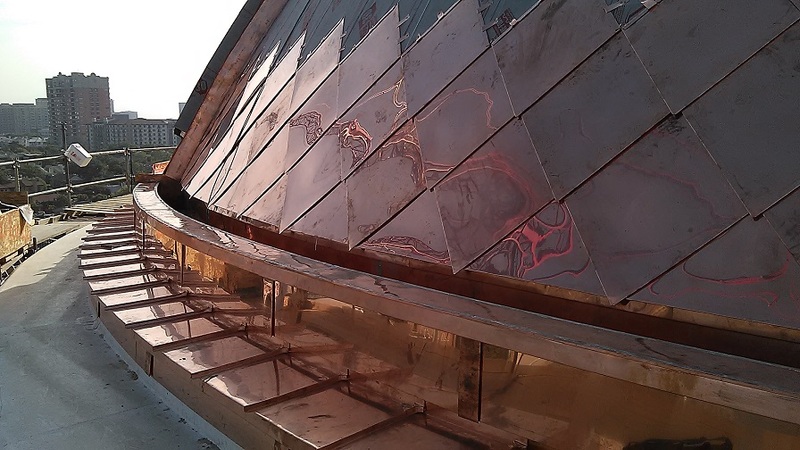 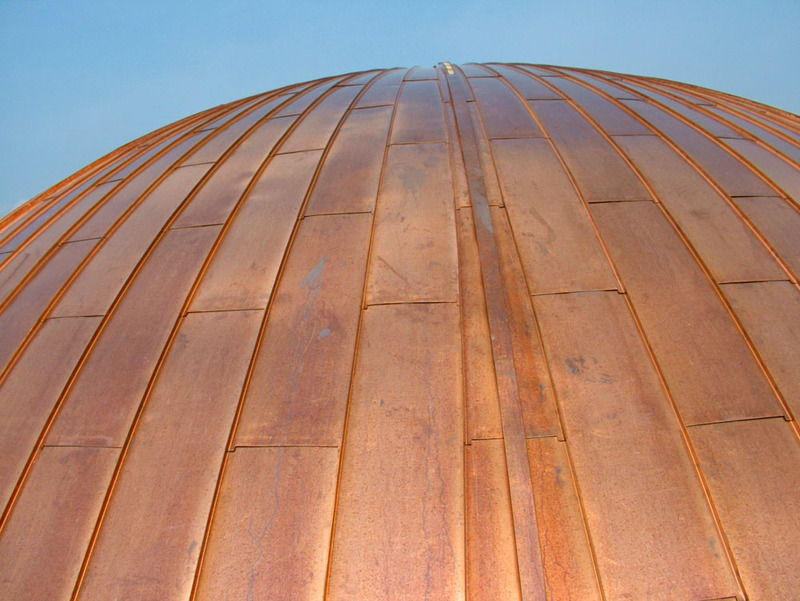 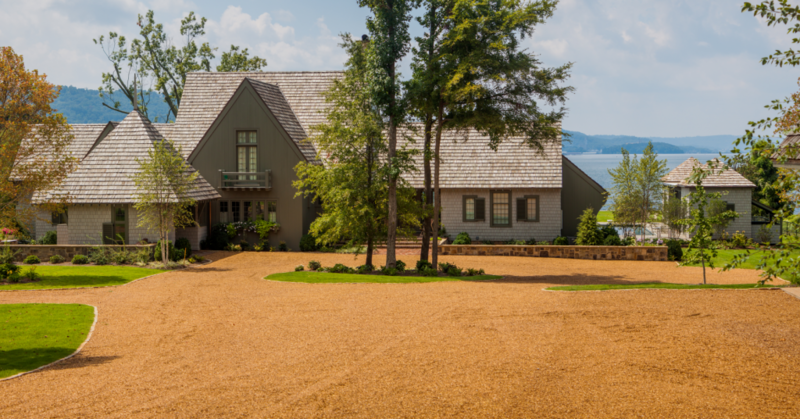 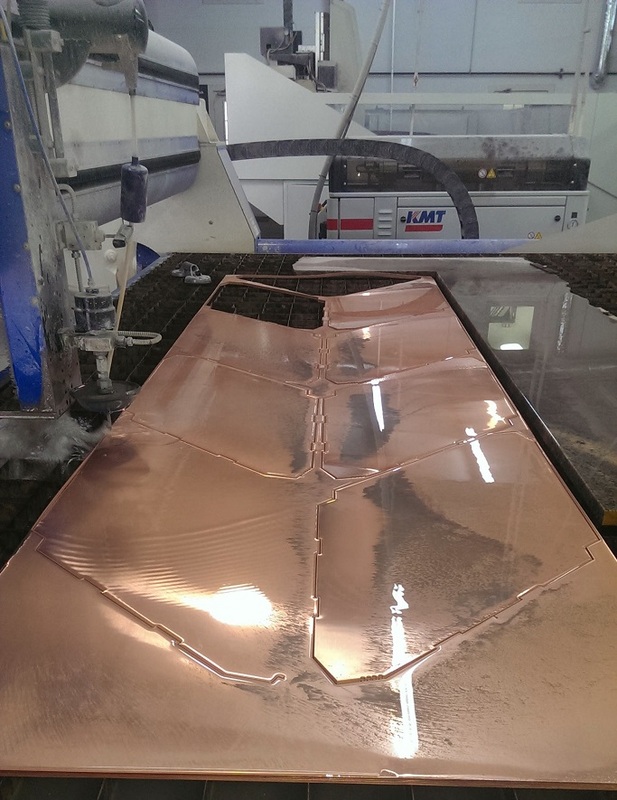 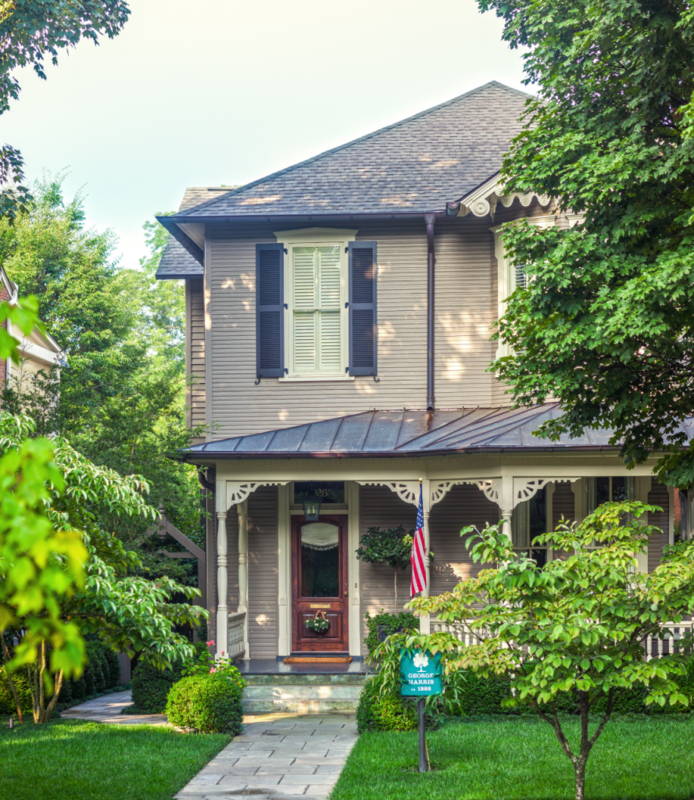 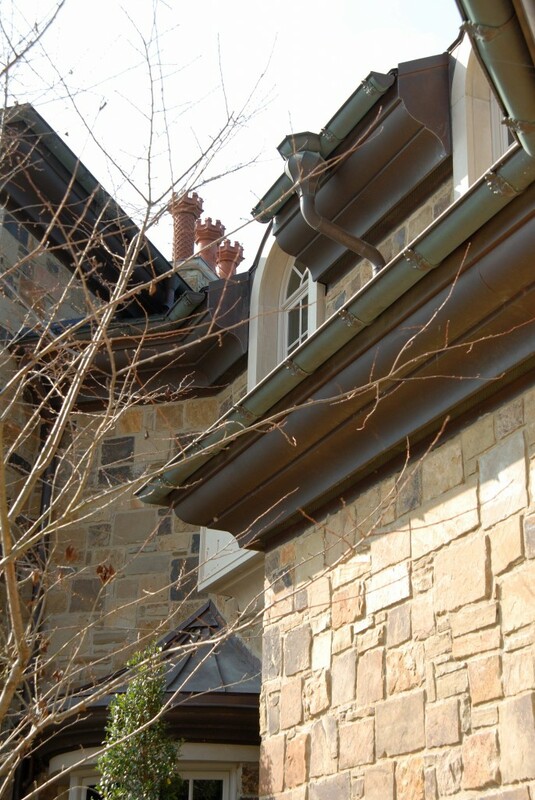 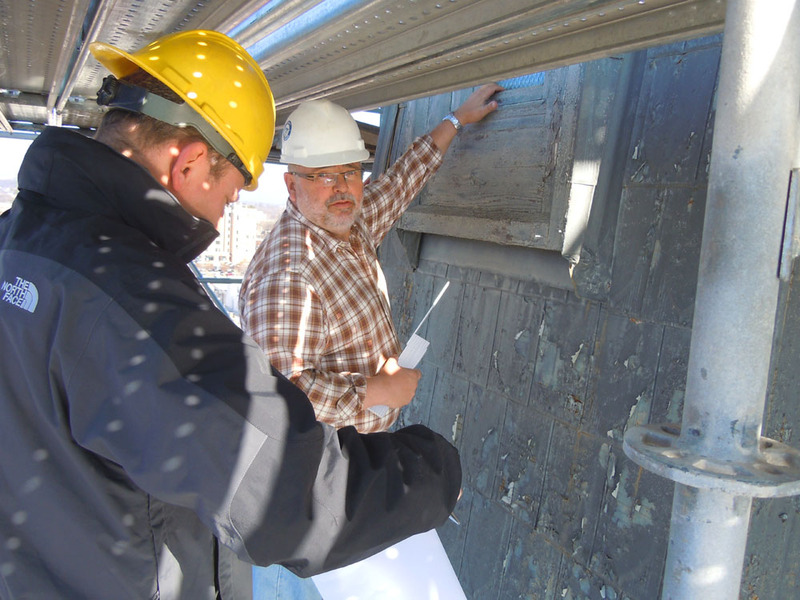 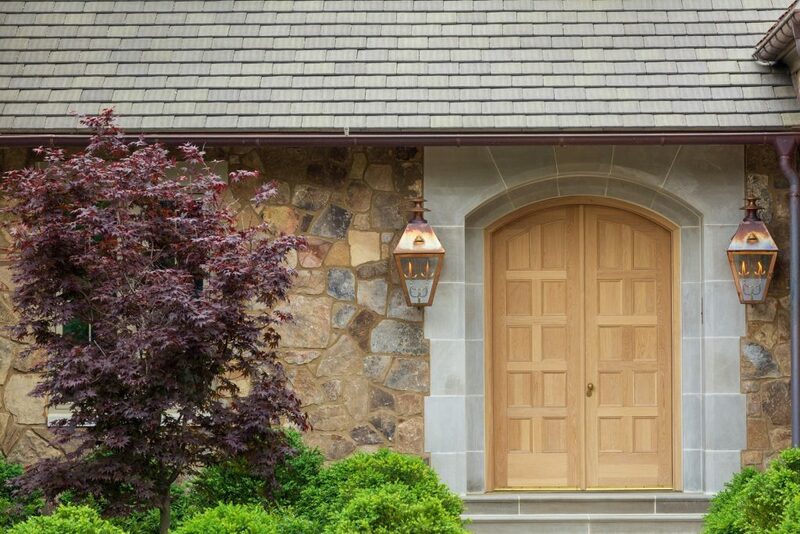 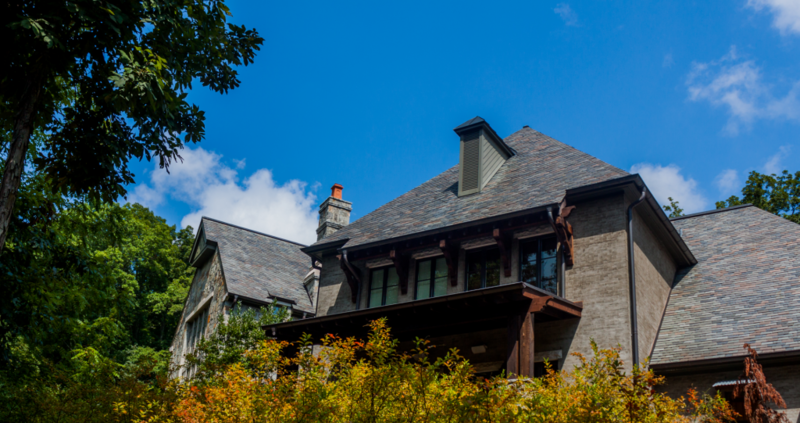 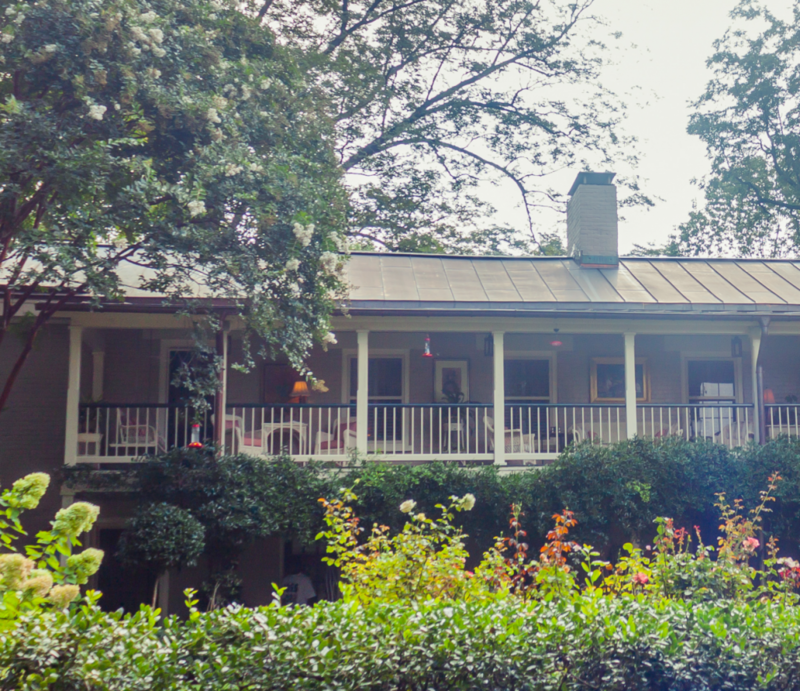 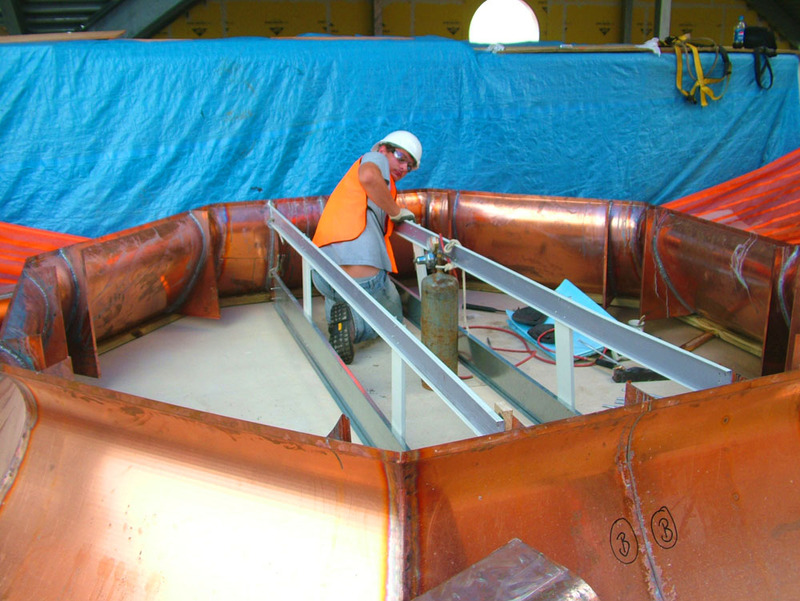 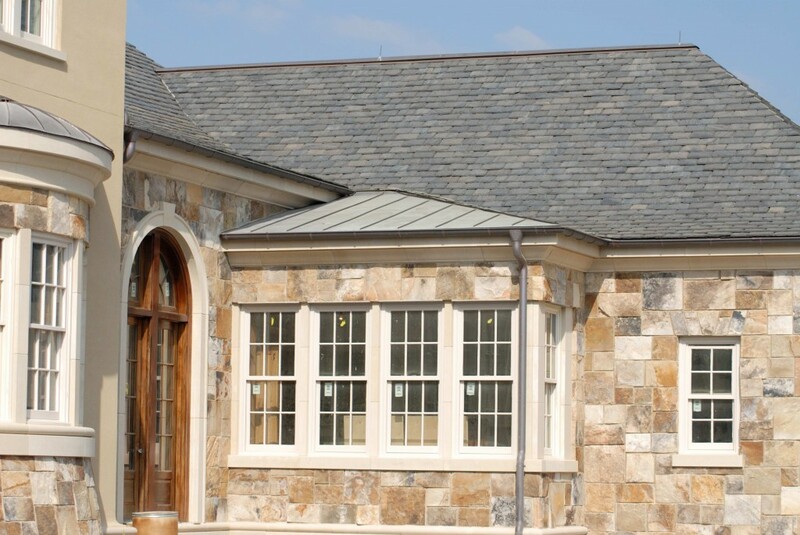 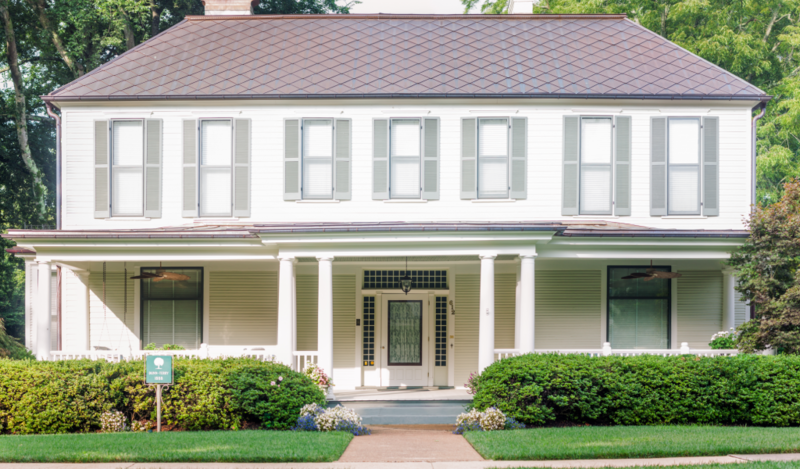 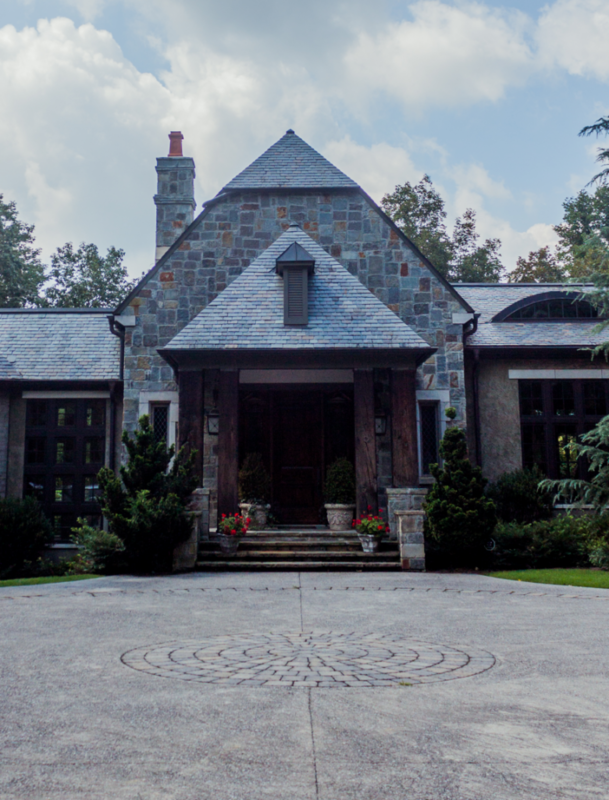 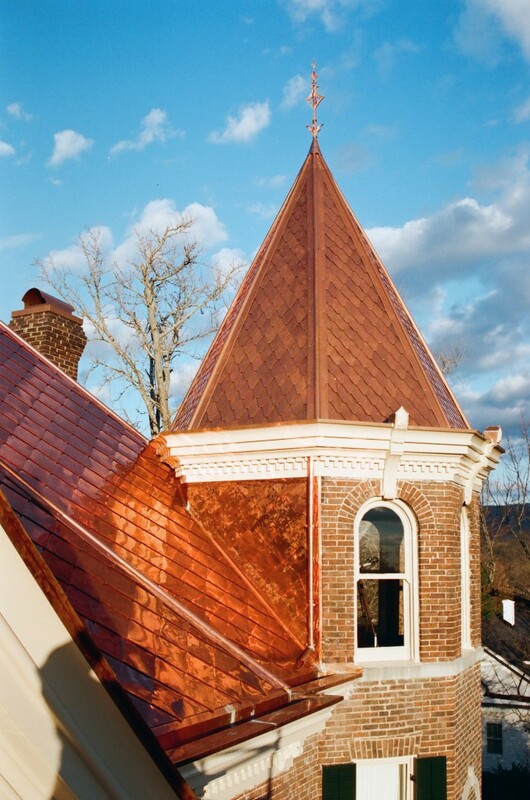 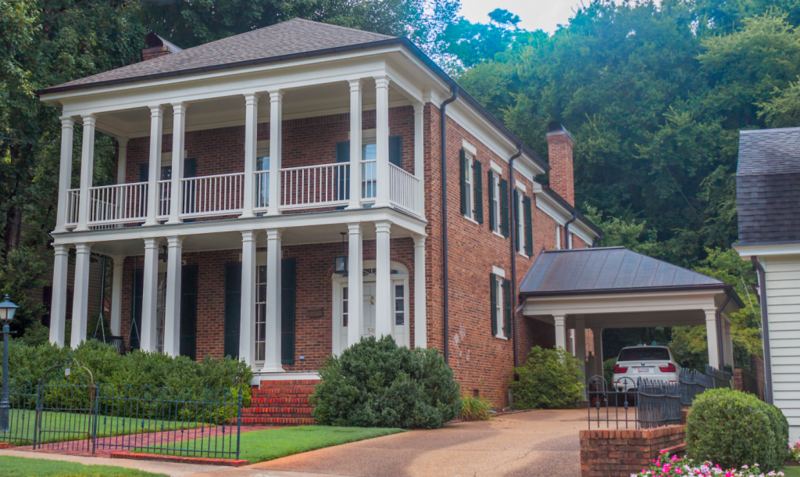 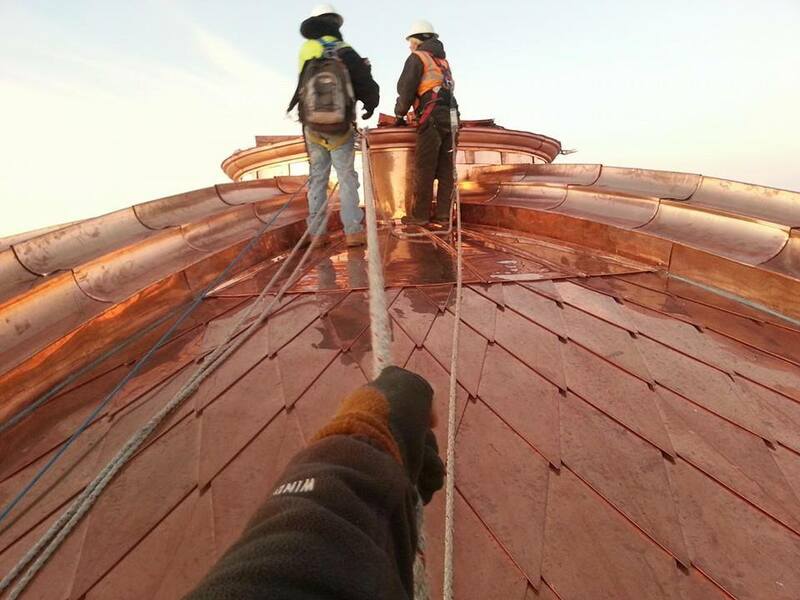 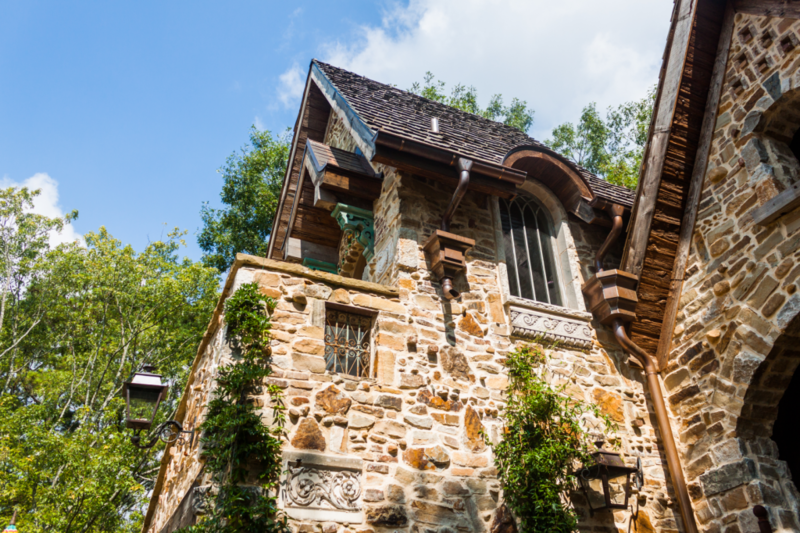 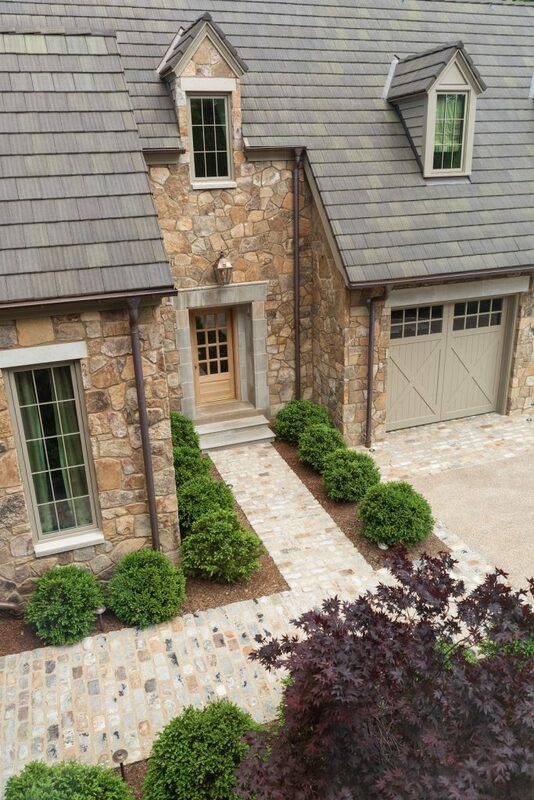 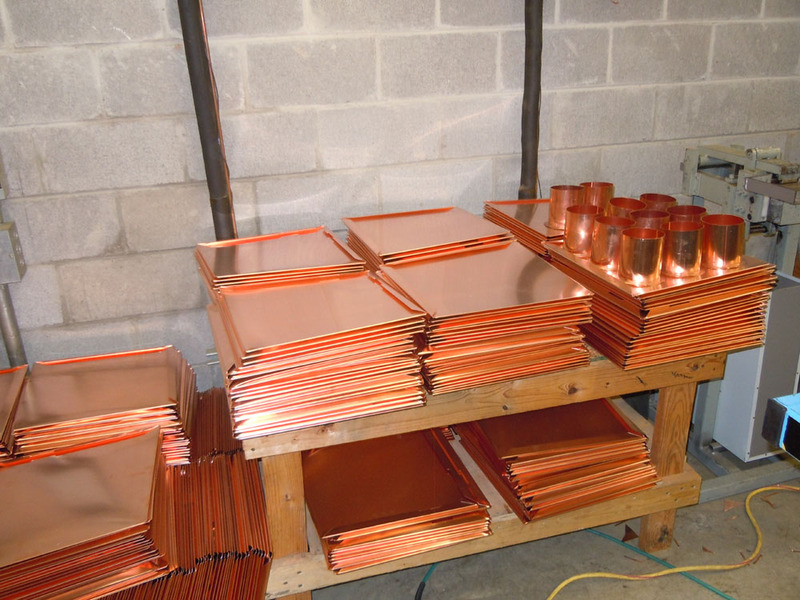 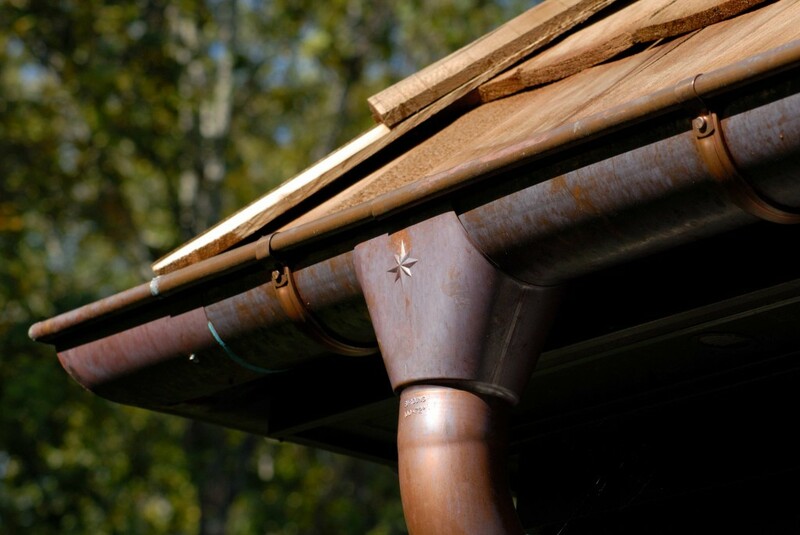 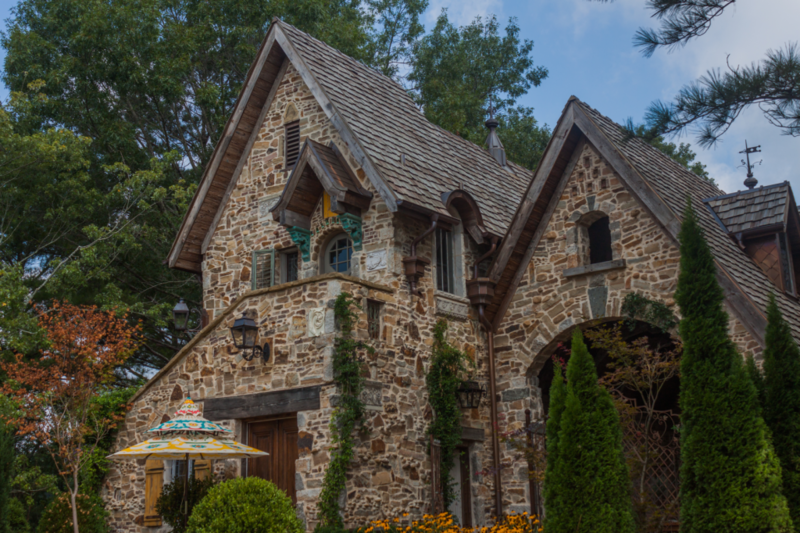 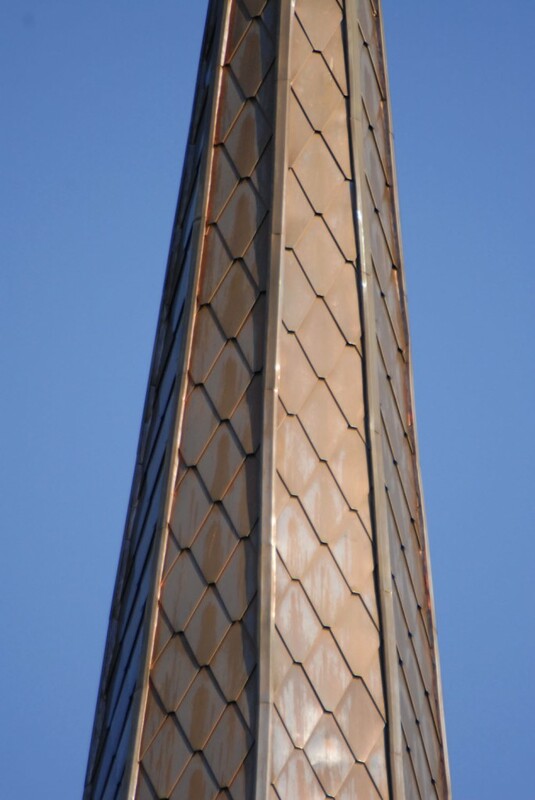 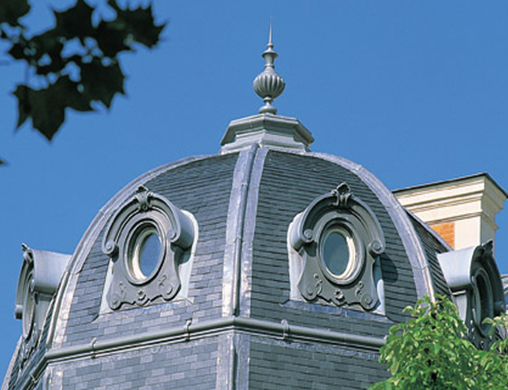 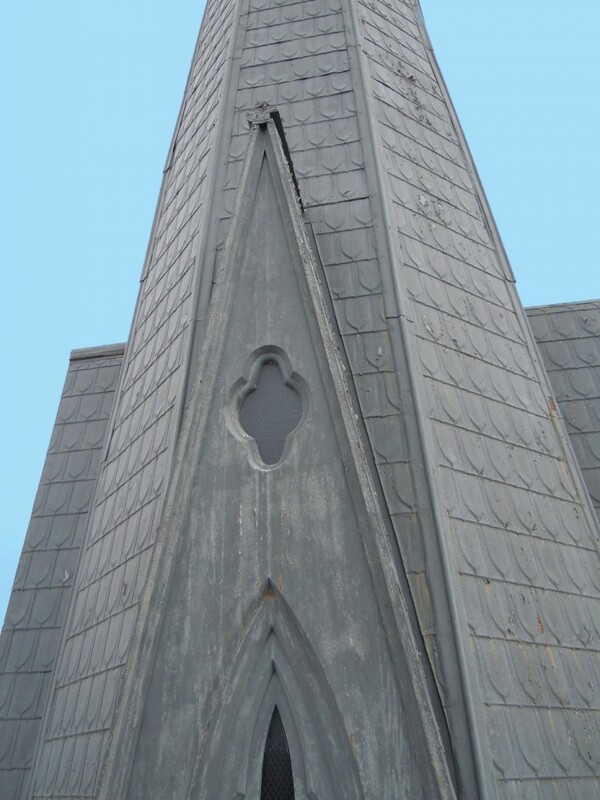 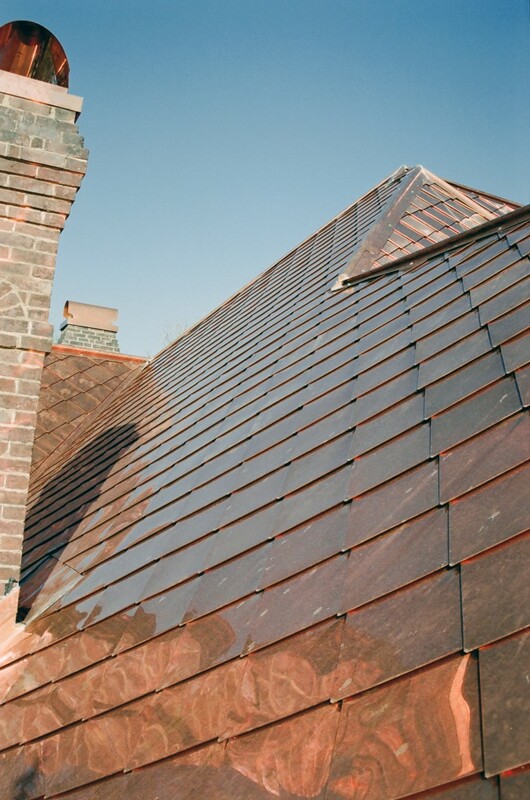 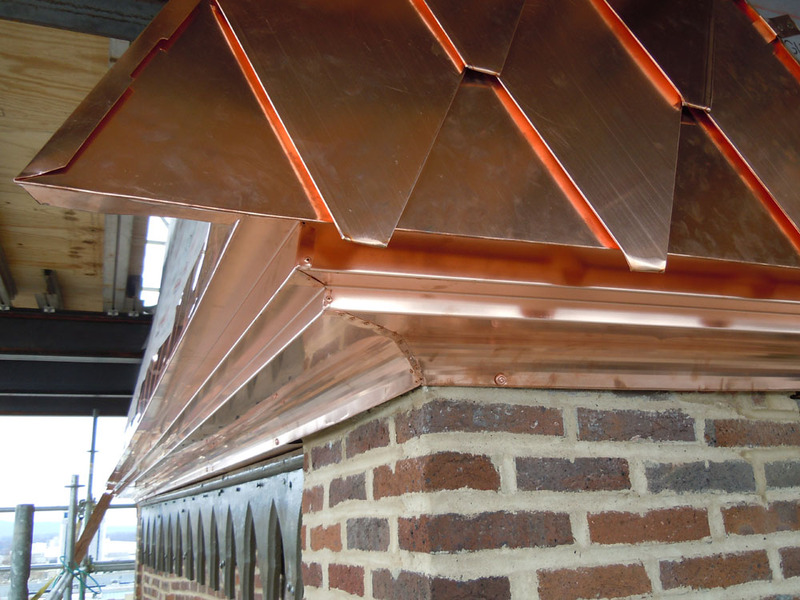 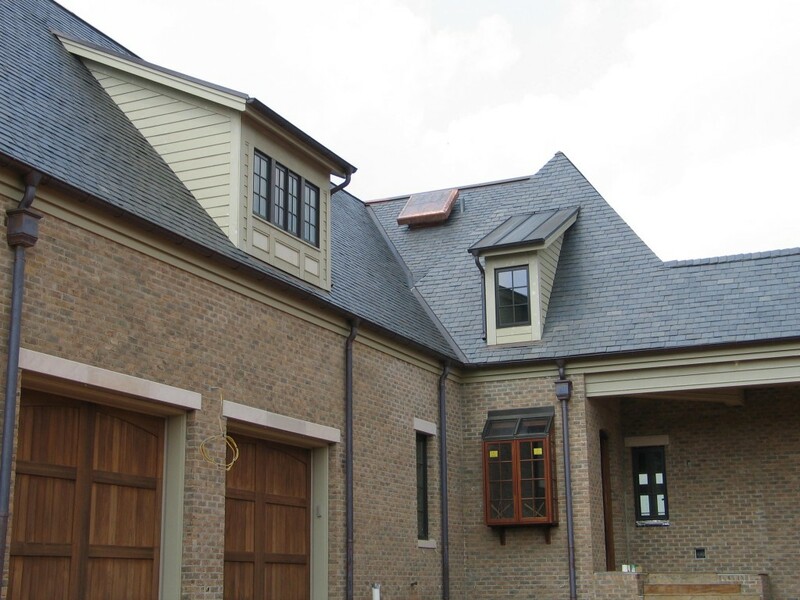 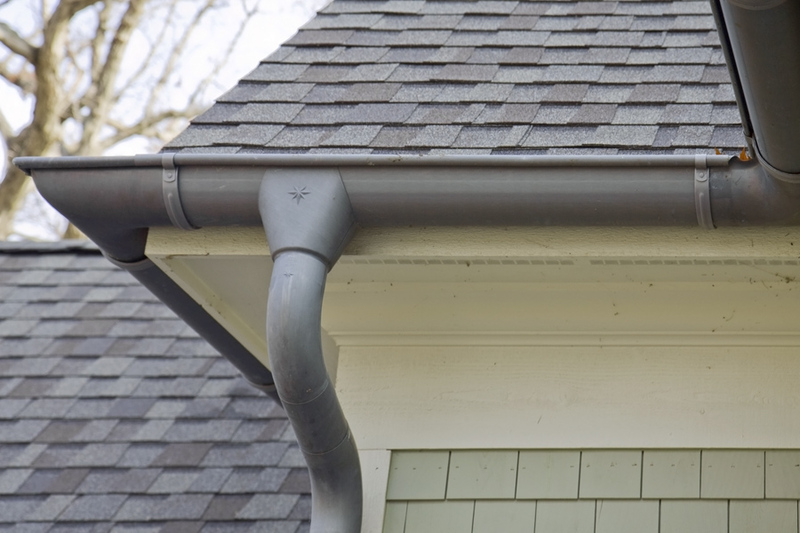 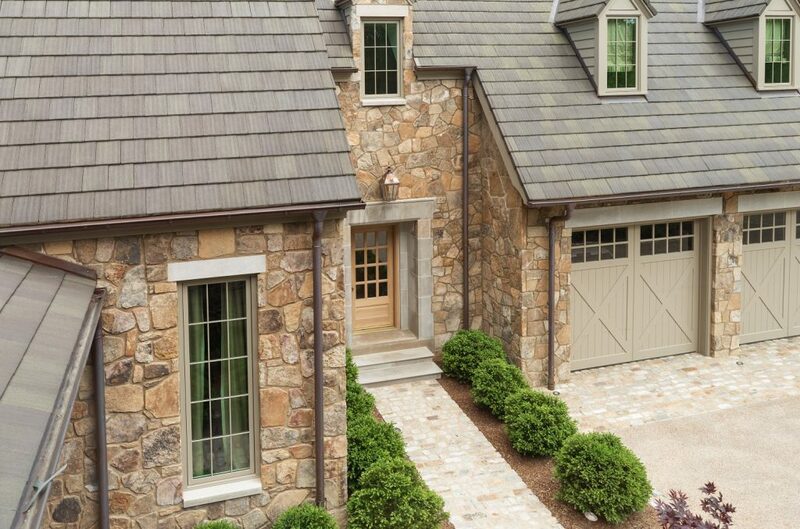 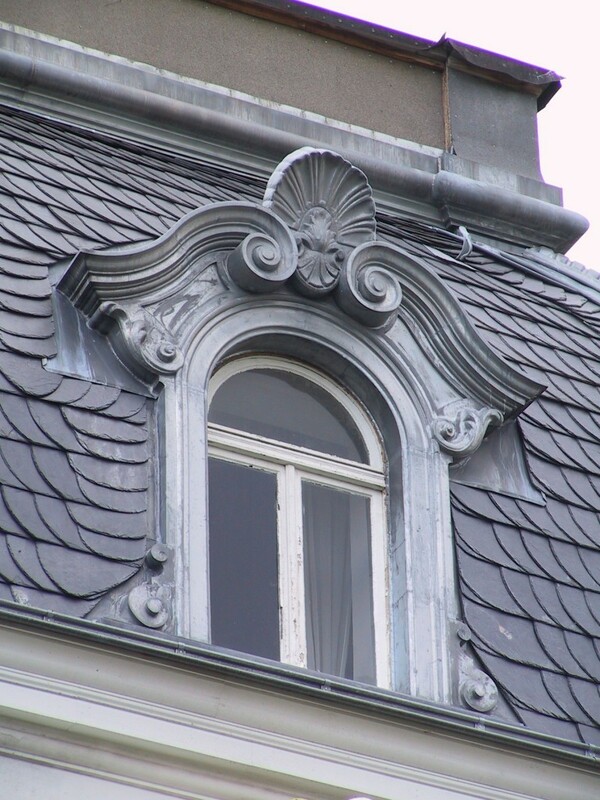 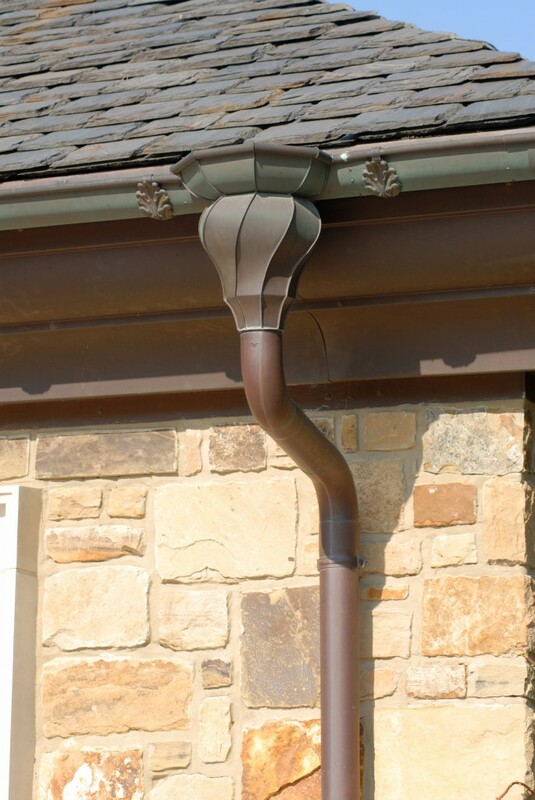 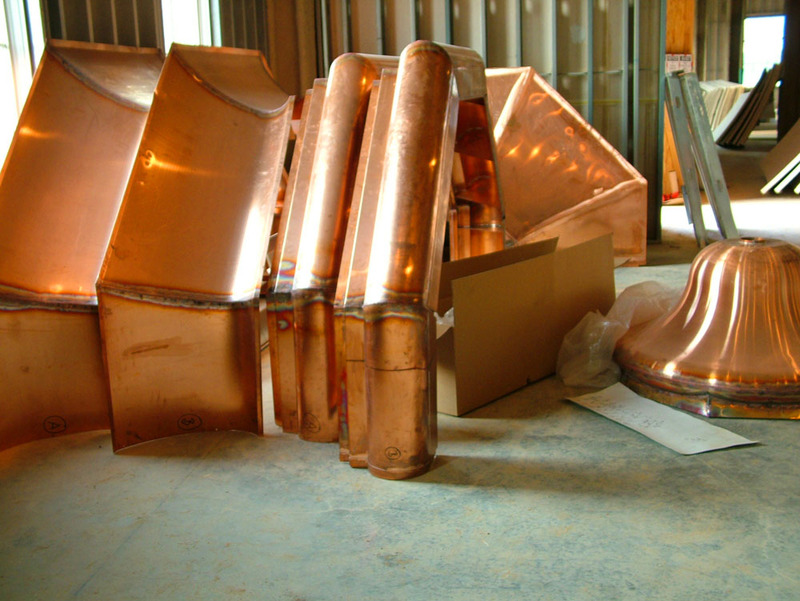 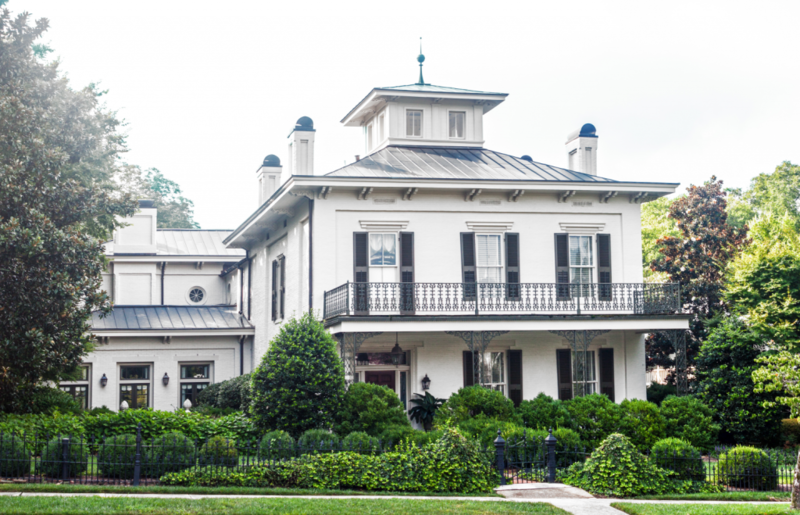 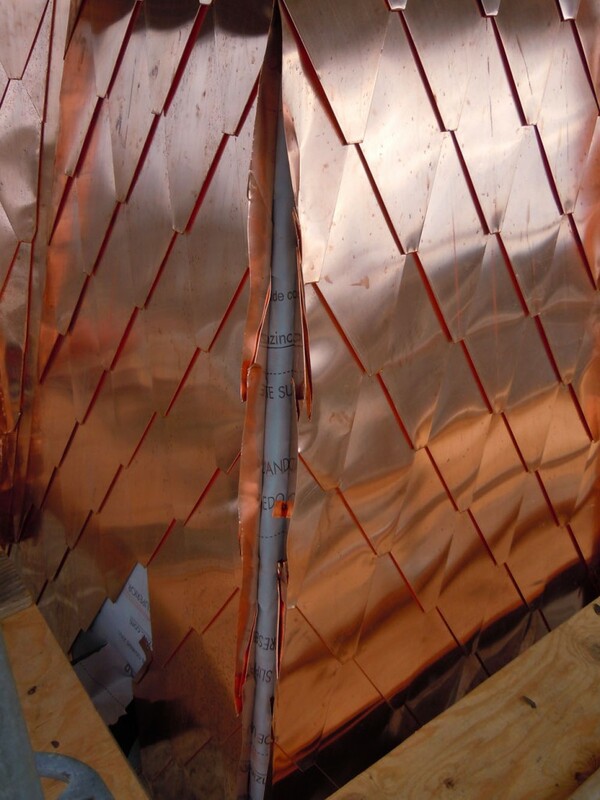 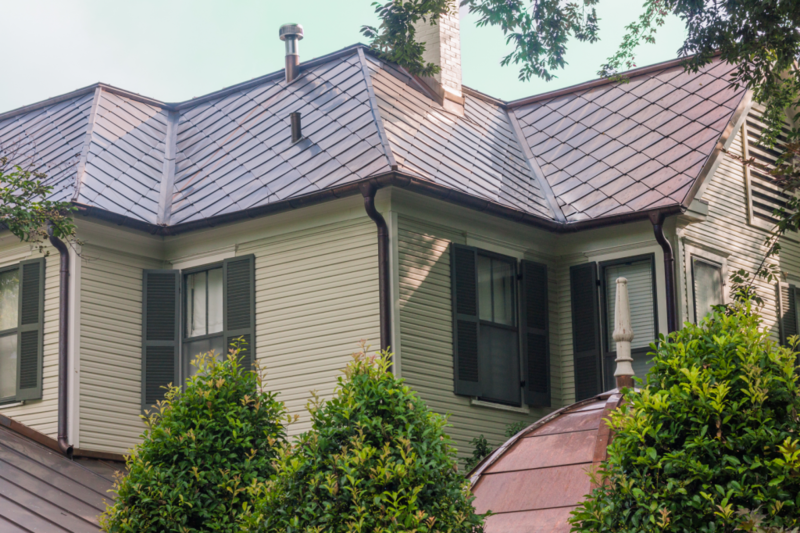 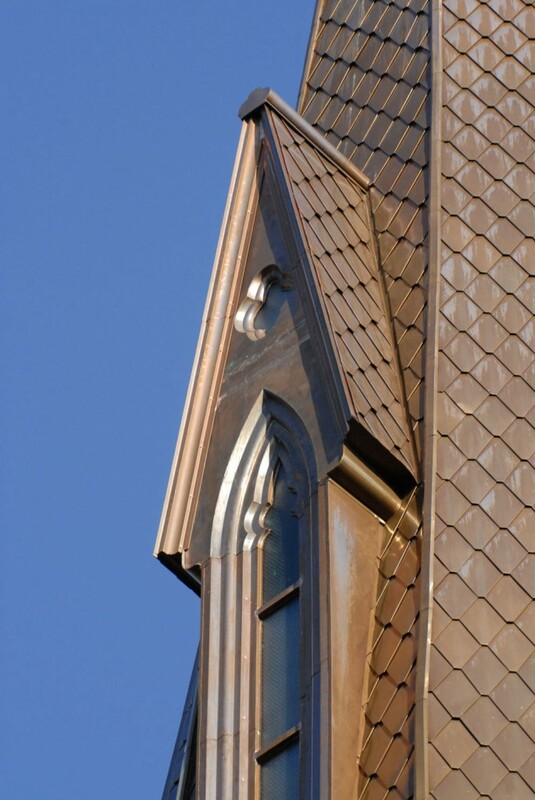 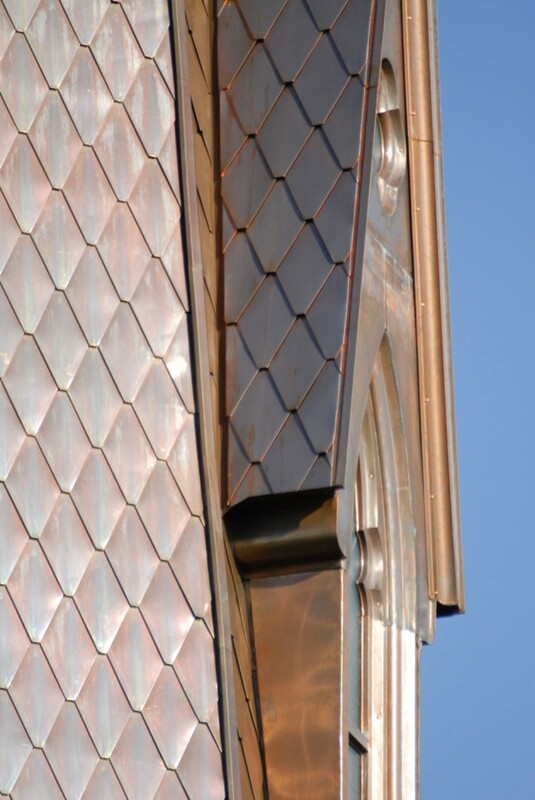 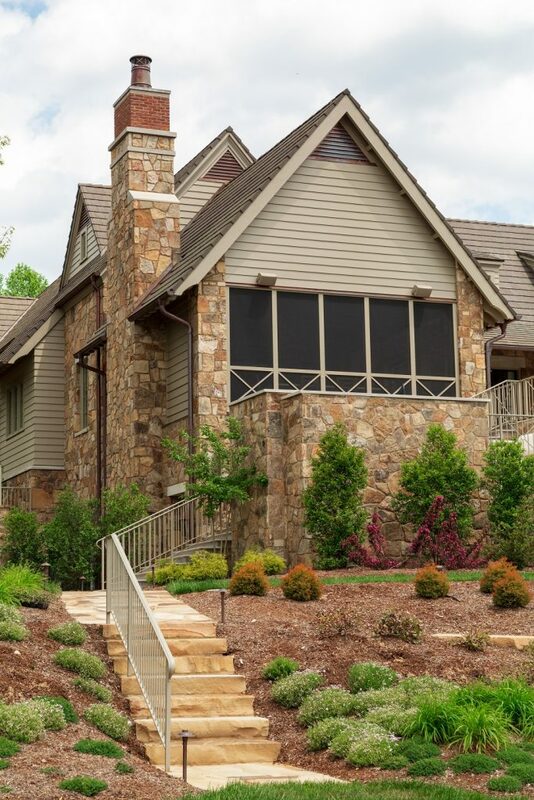 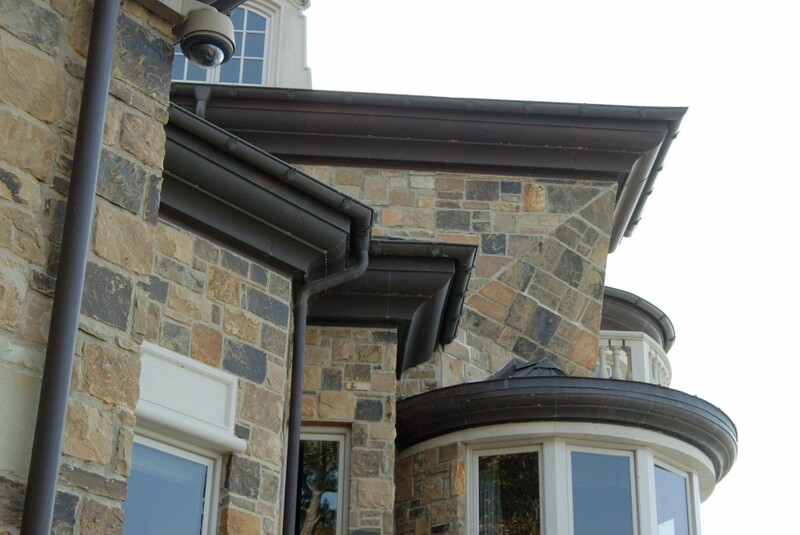 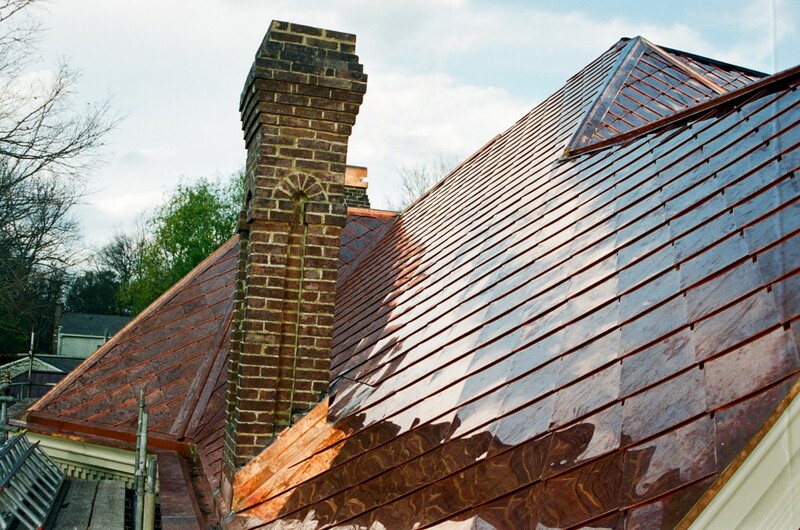 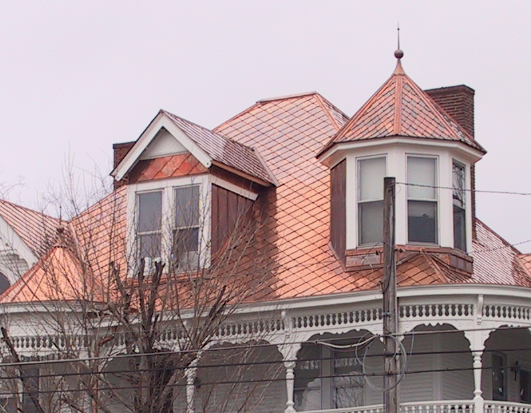 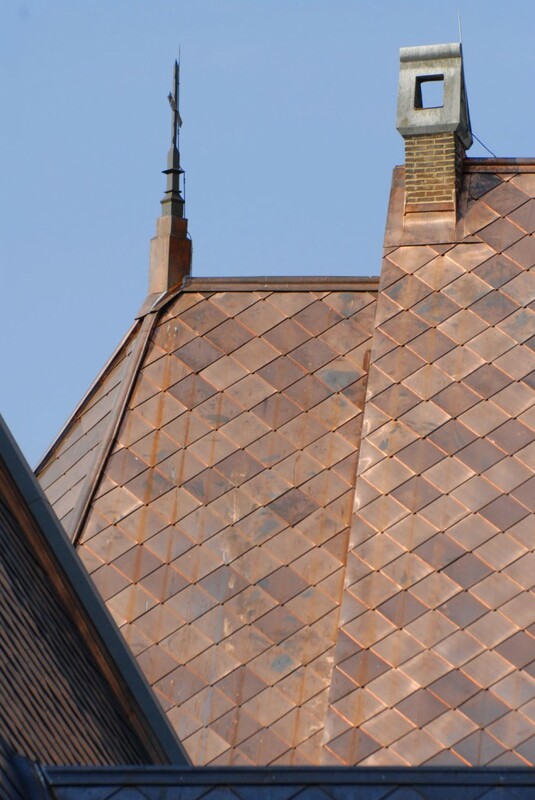 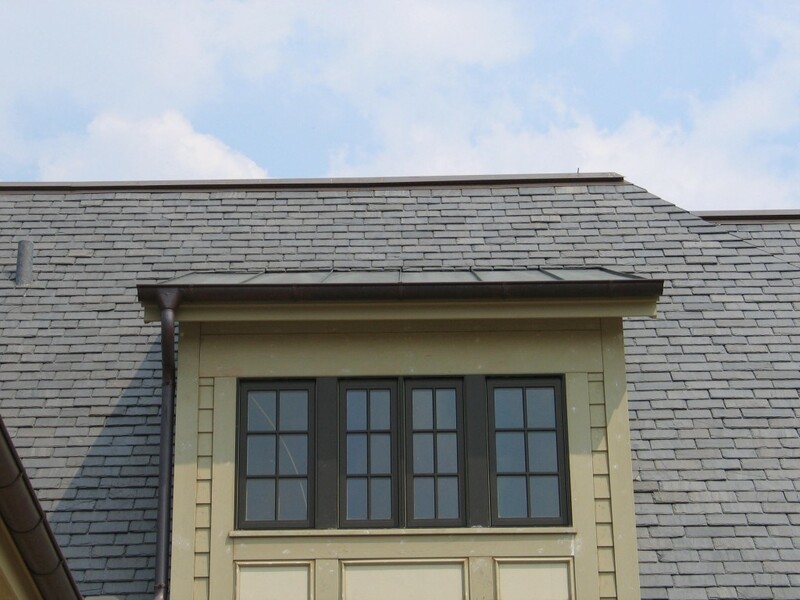 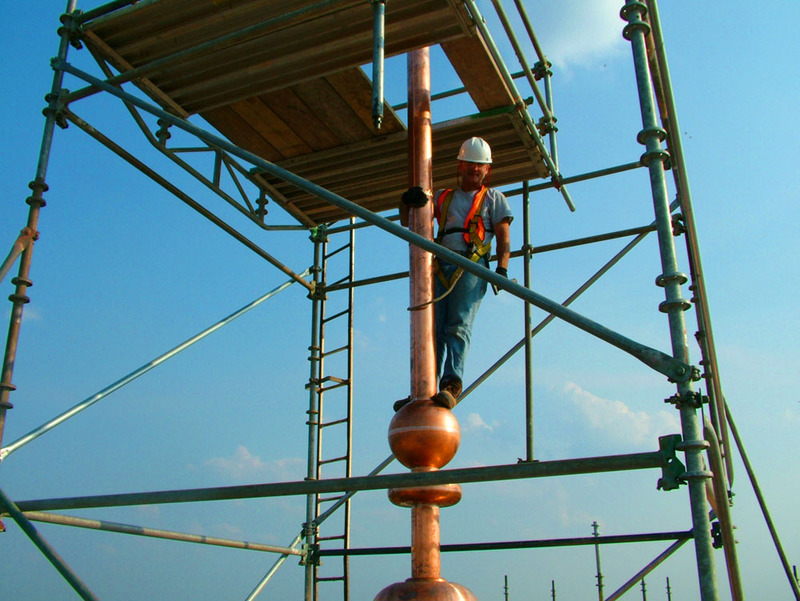 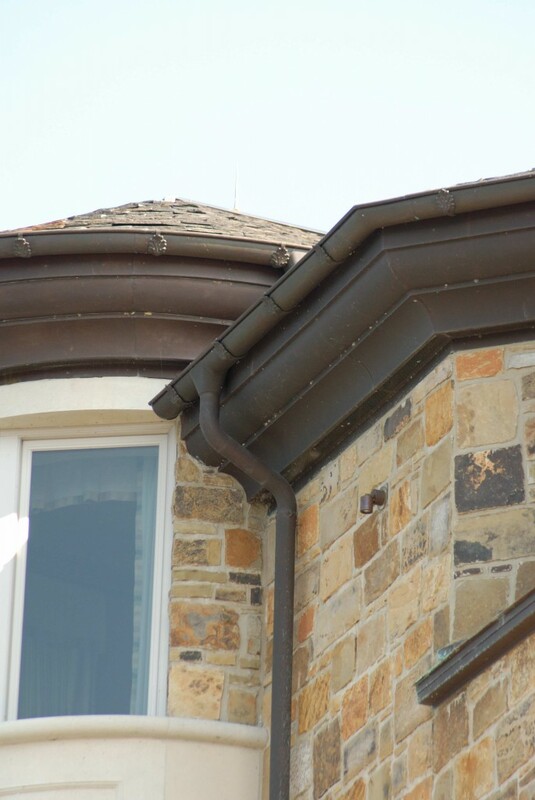 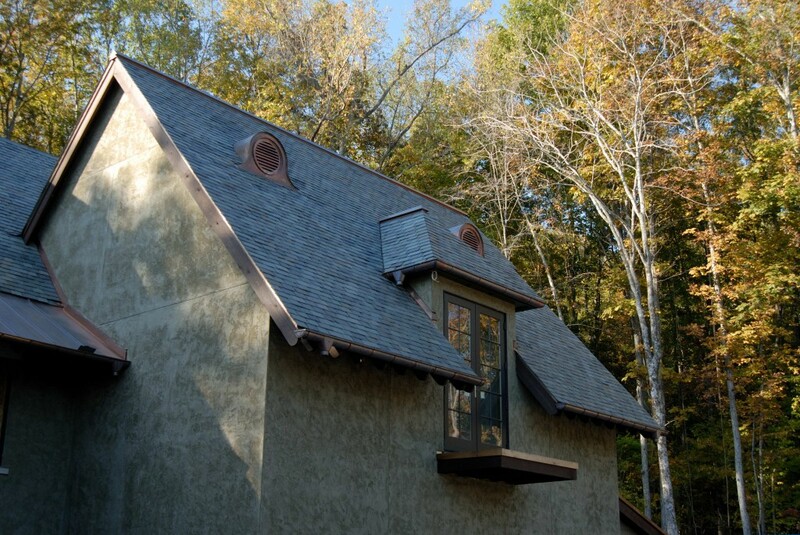 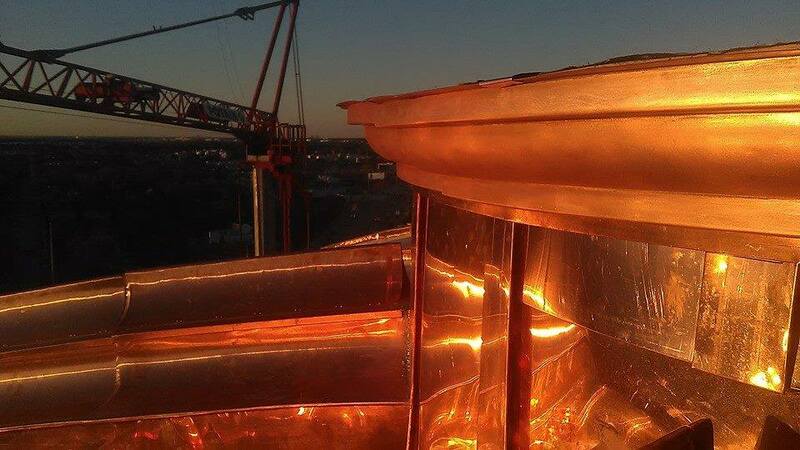 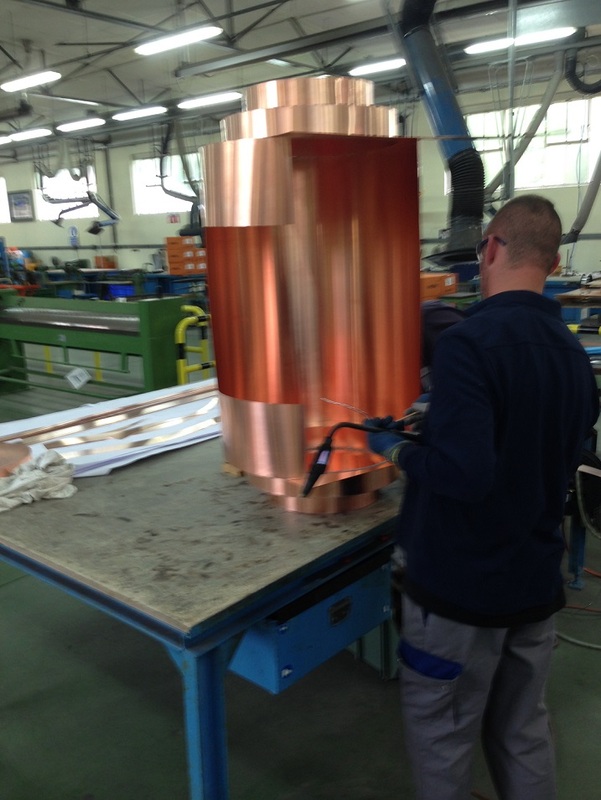 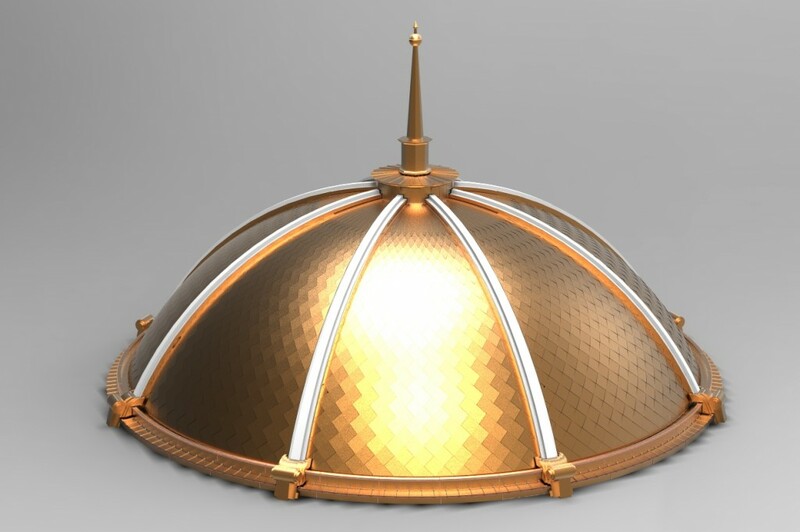 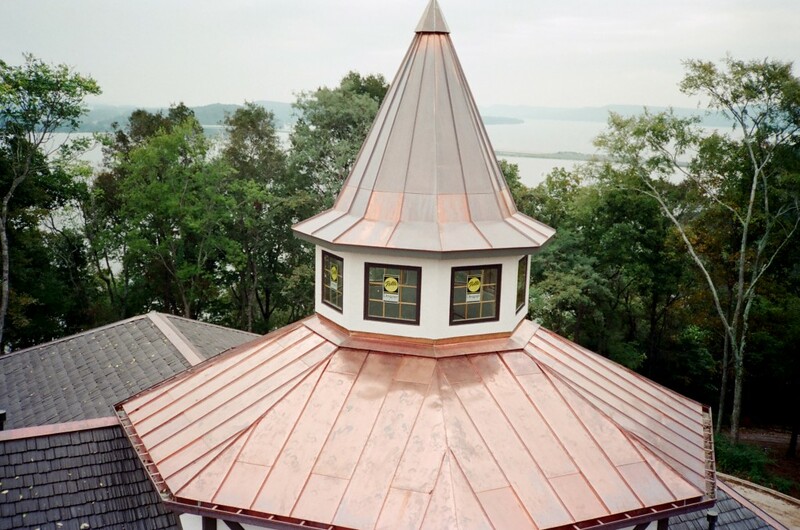 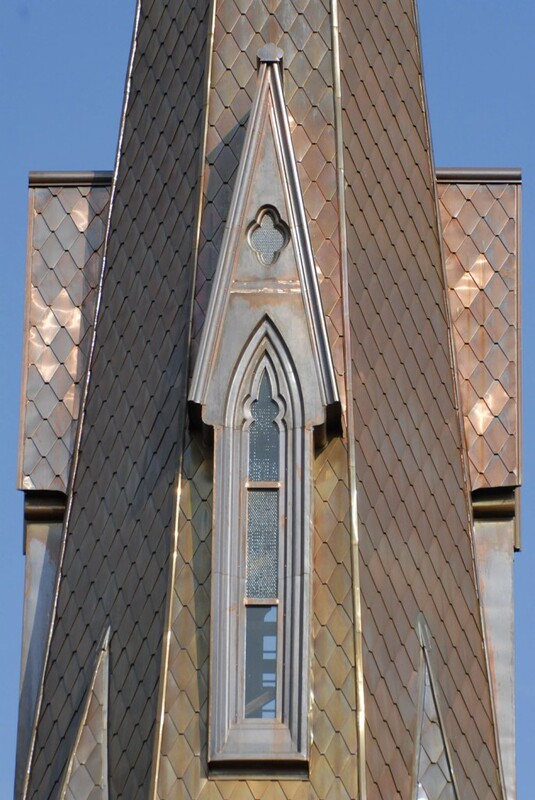 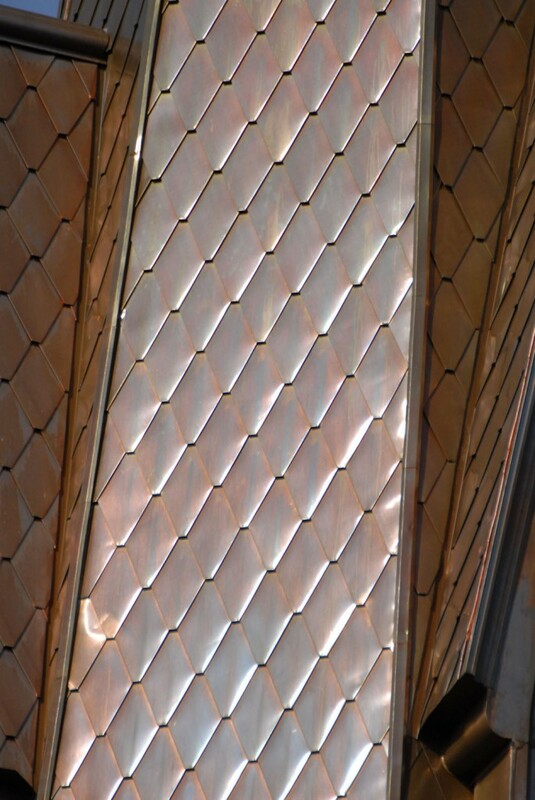 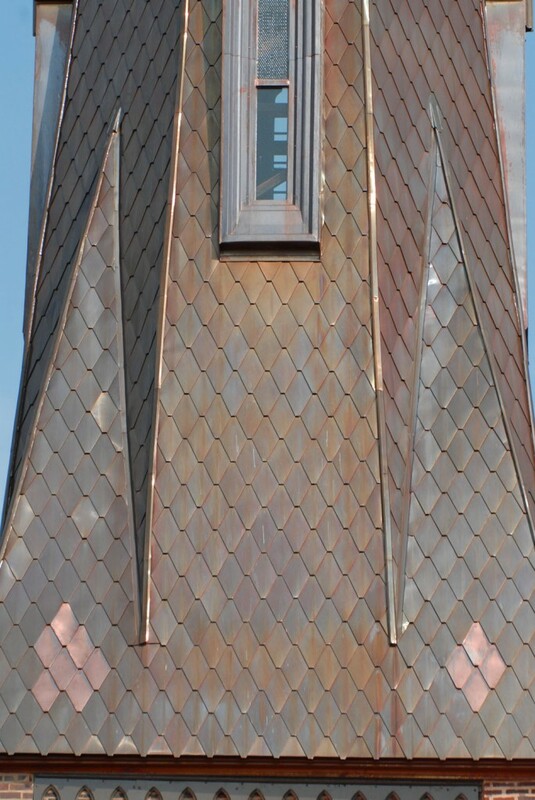 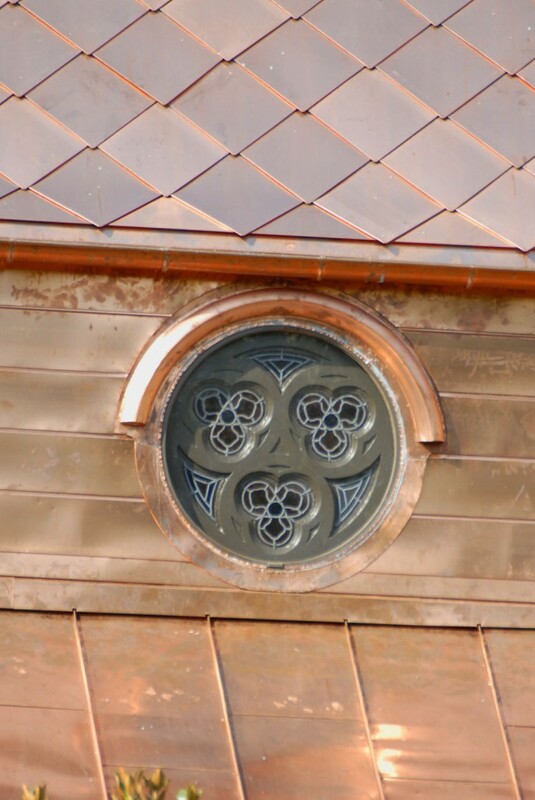 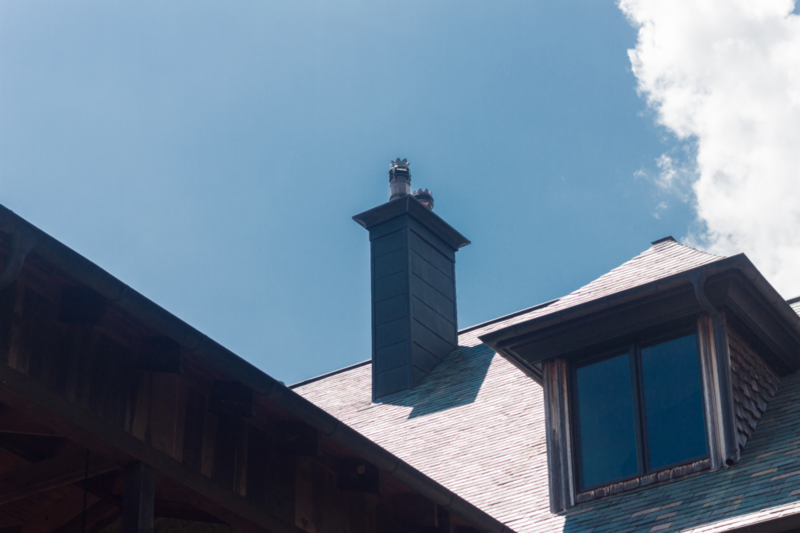 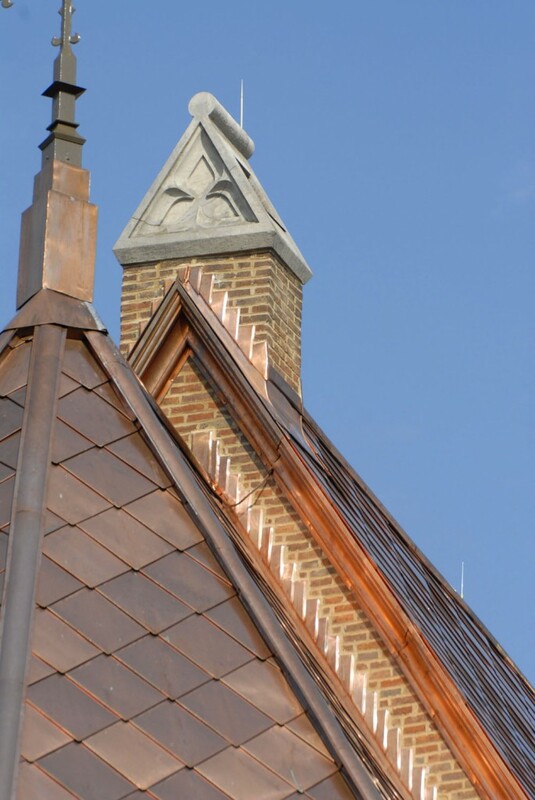 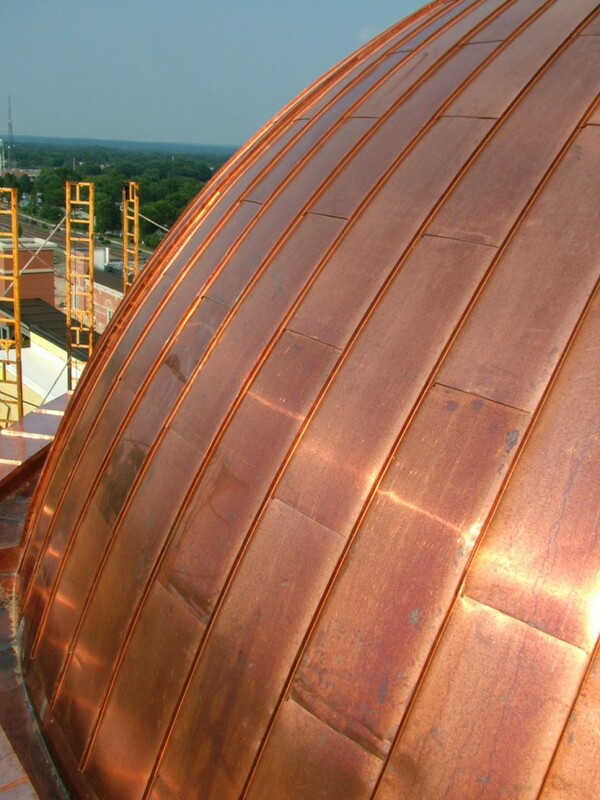 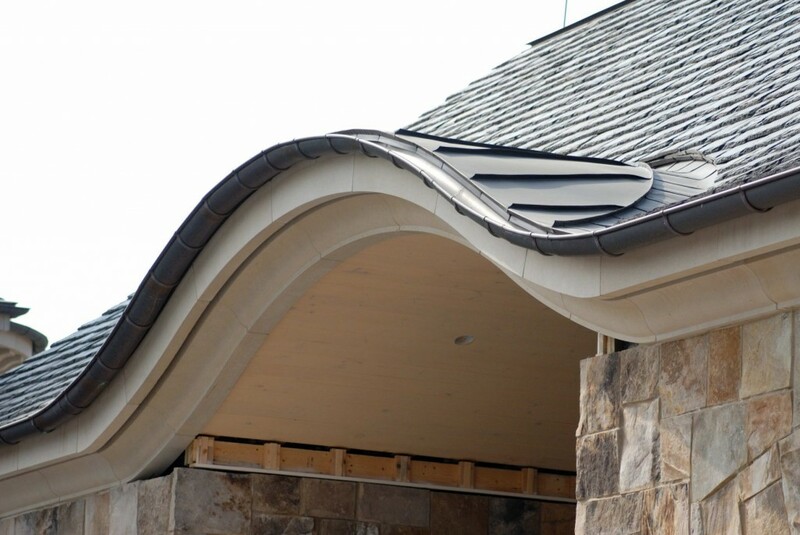 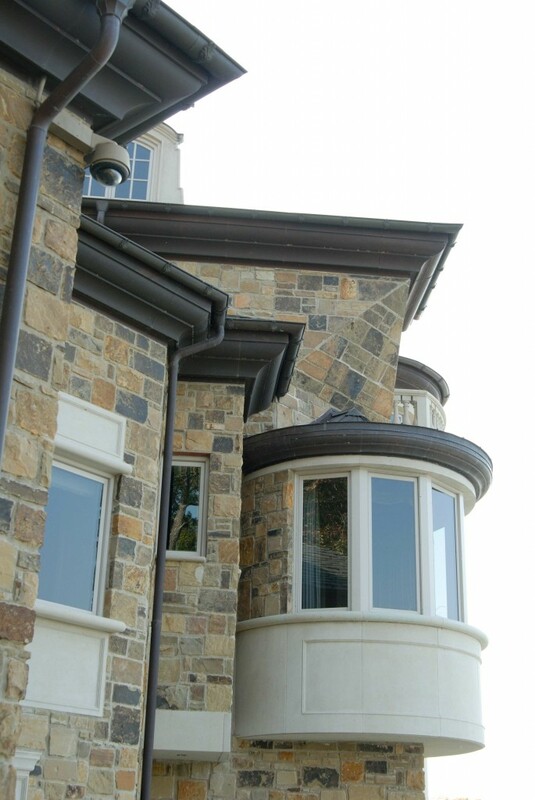 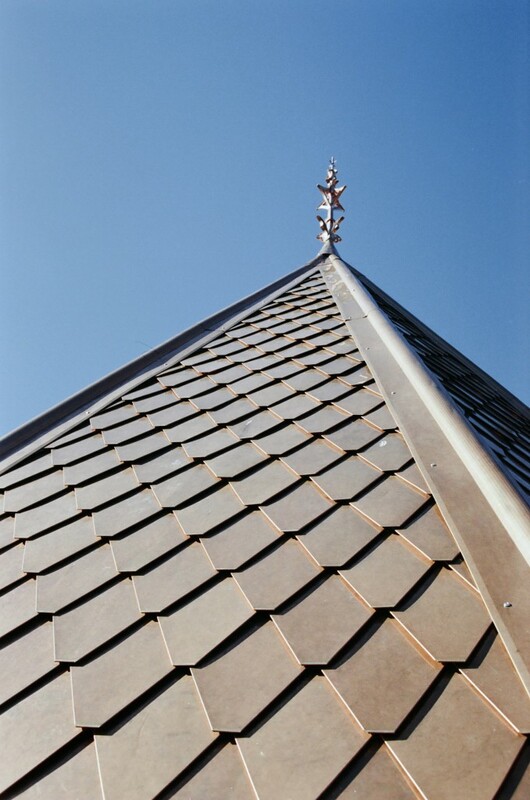 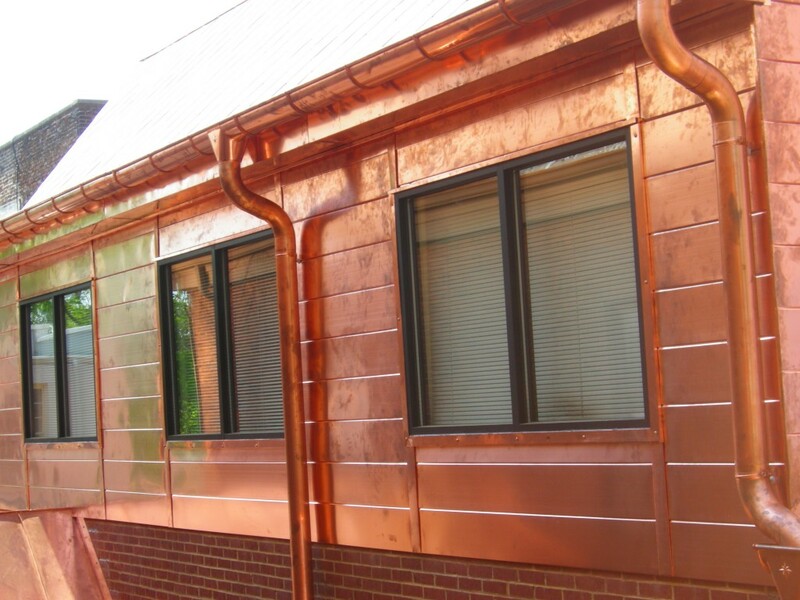 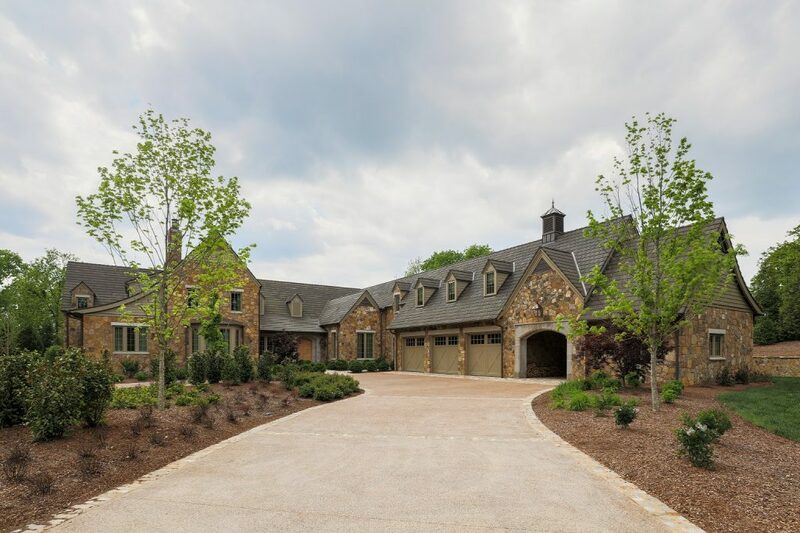 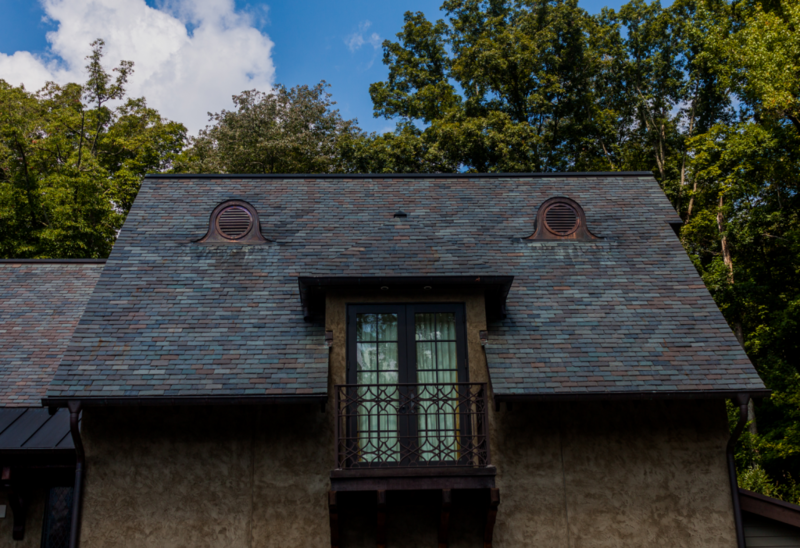 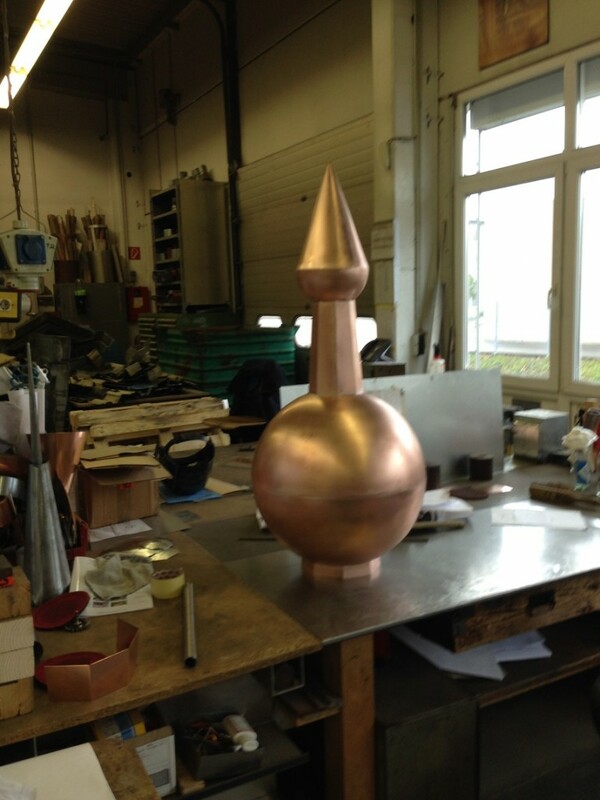 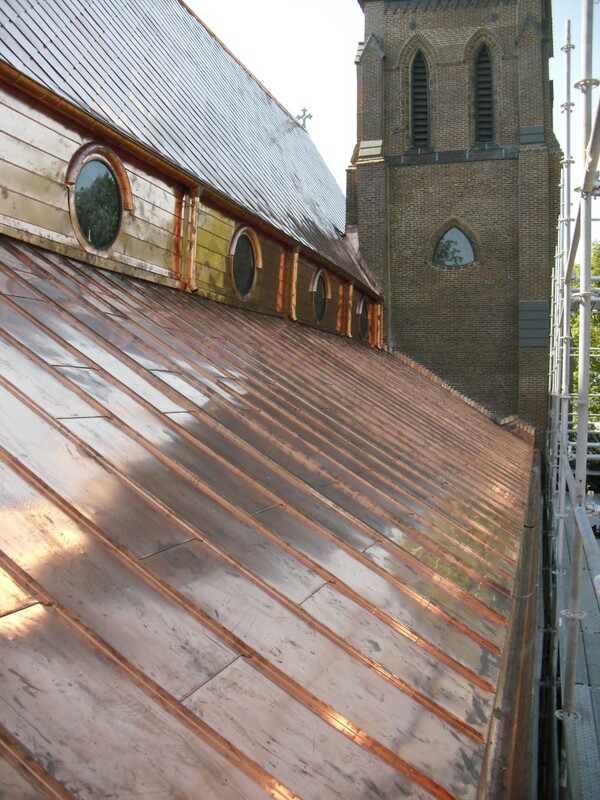 CopperWorks has a wide range of experience in ornamental roofing and metal roofing. 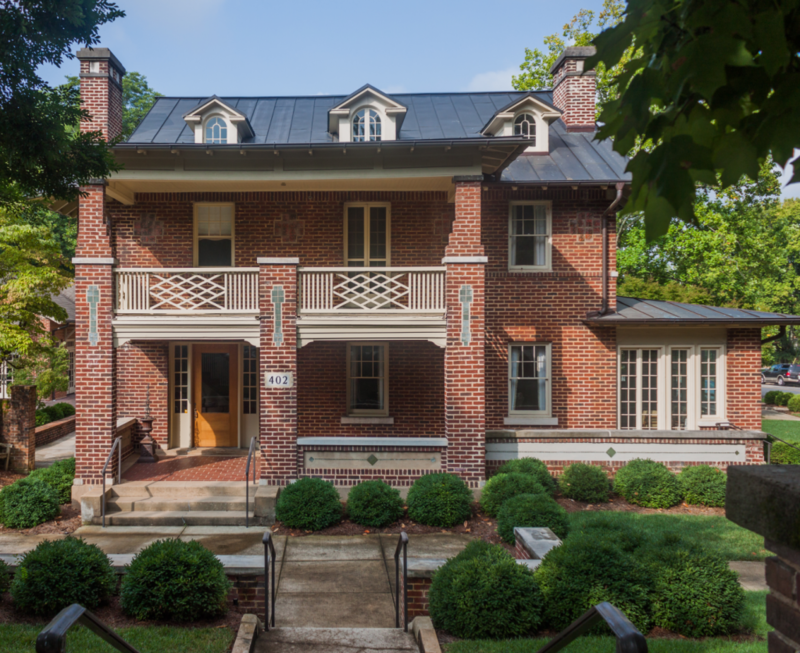 The latter residence was the recipient of the 2017 Copper in Architecture Award. 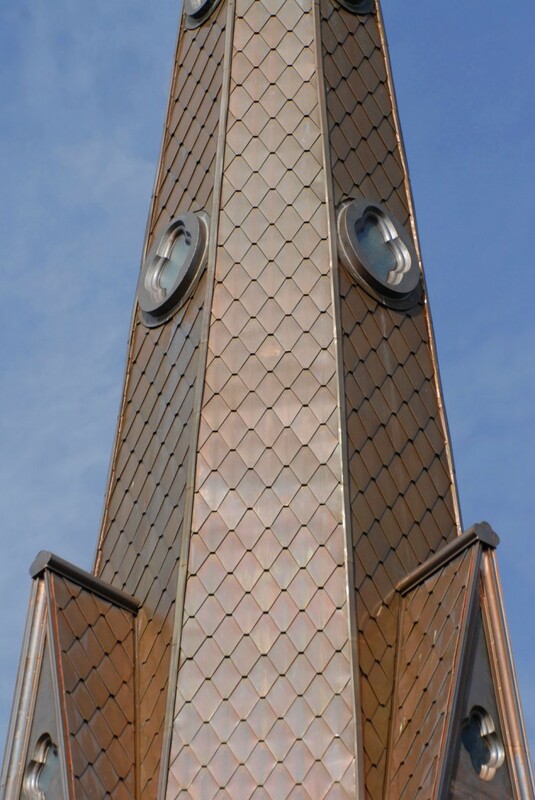 Textile factory turned Biotech Center. 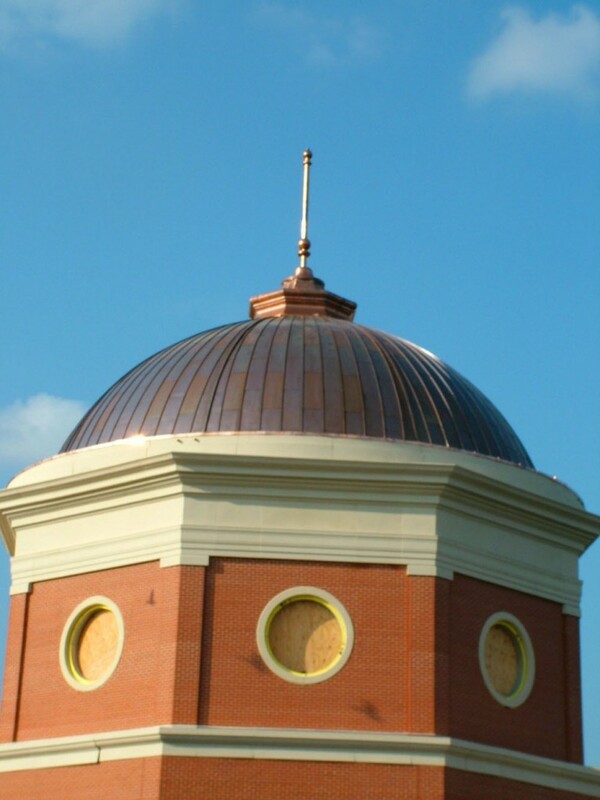 New dome constructed in 2012. 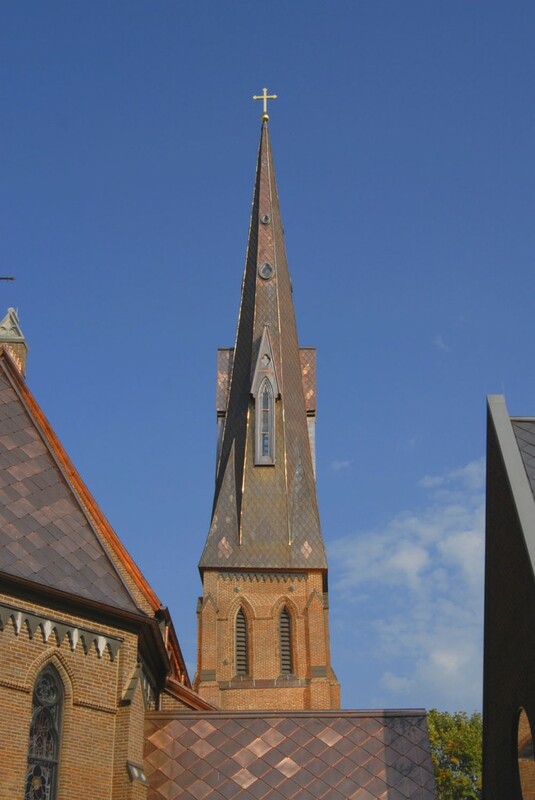 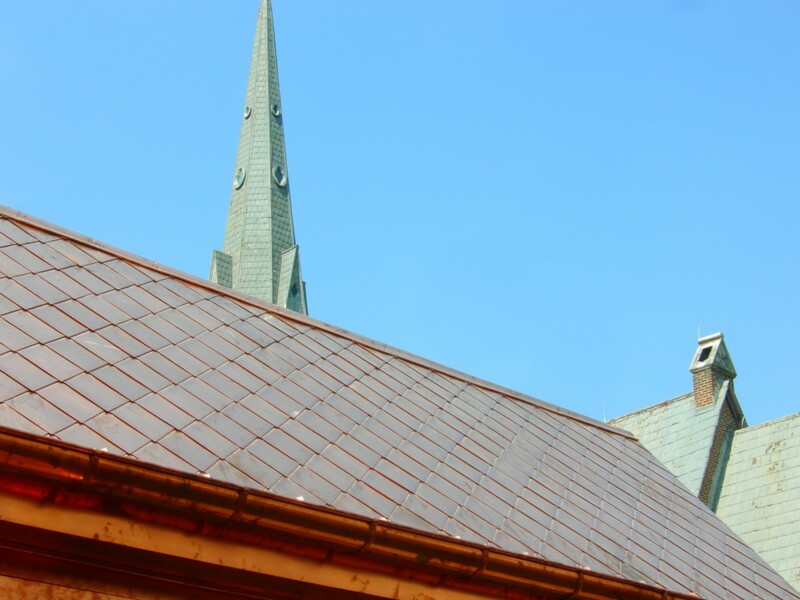 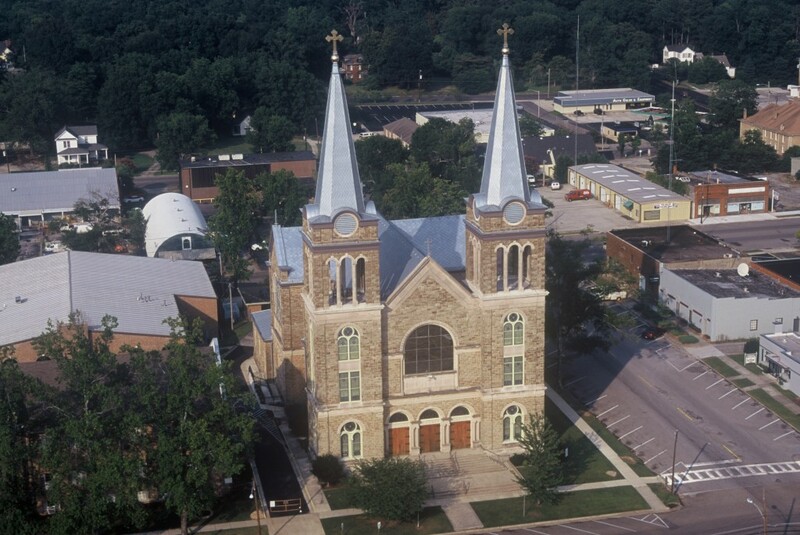 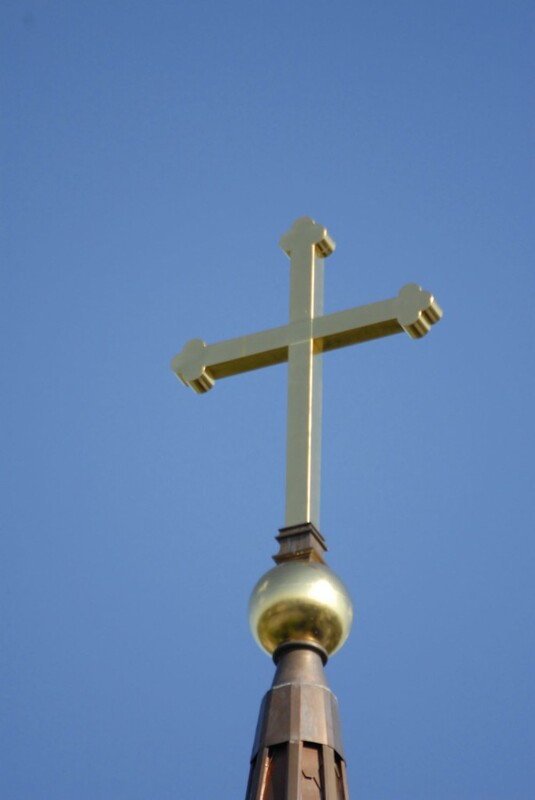 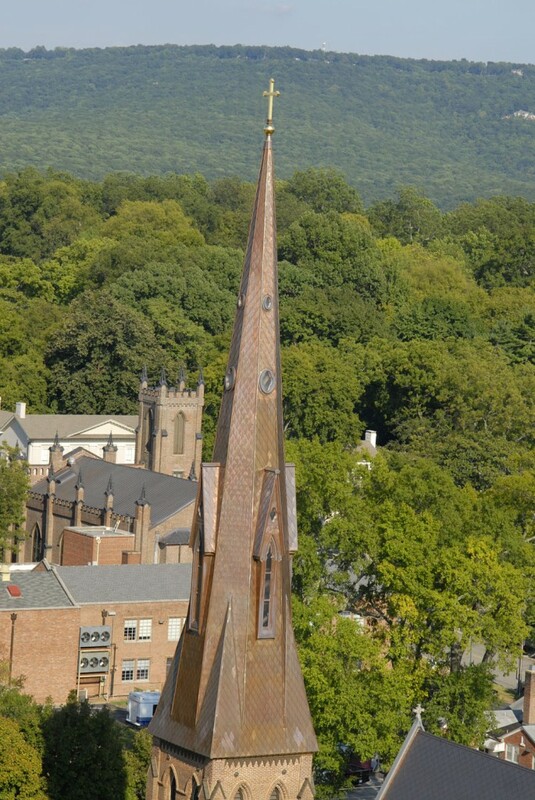 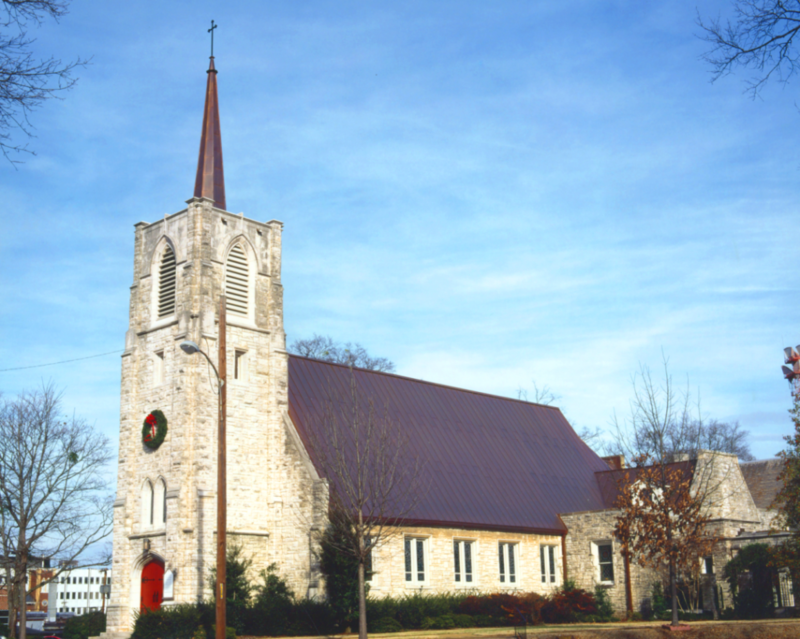 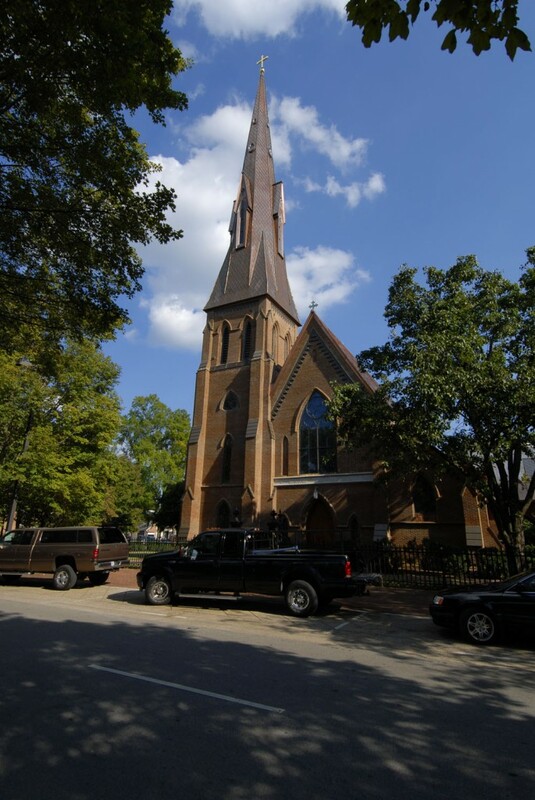 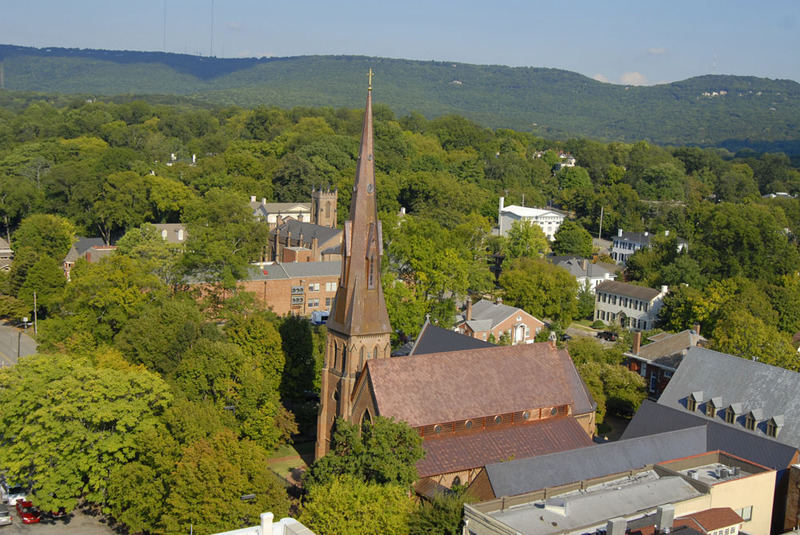 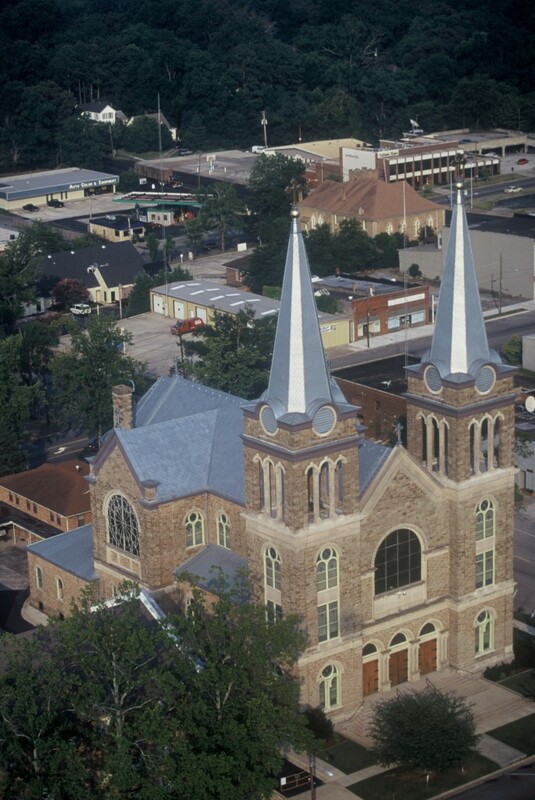 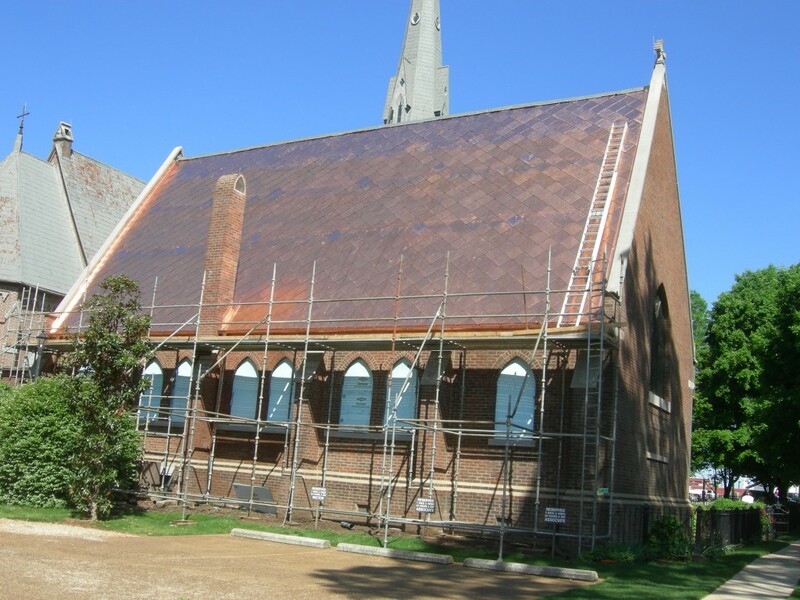 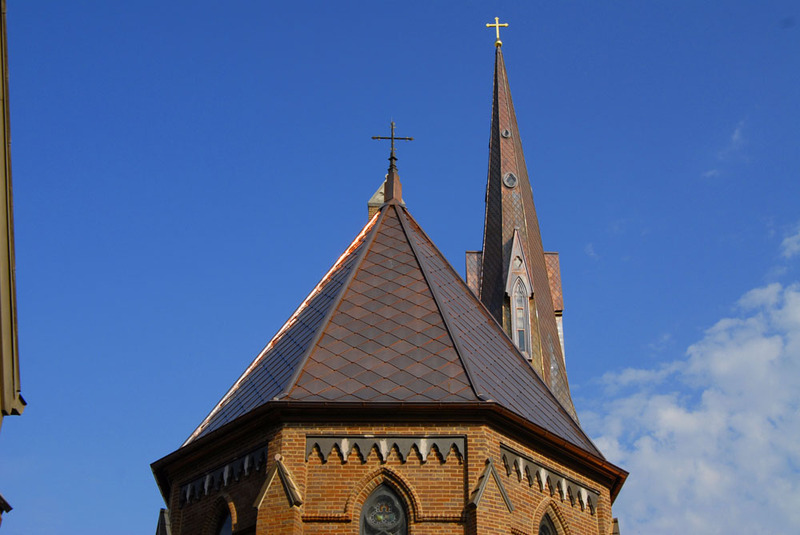 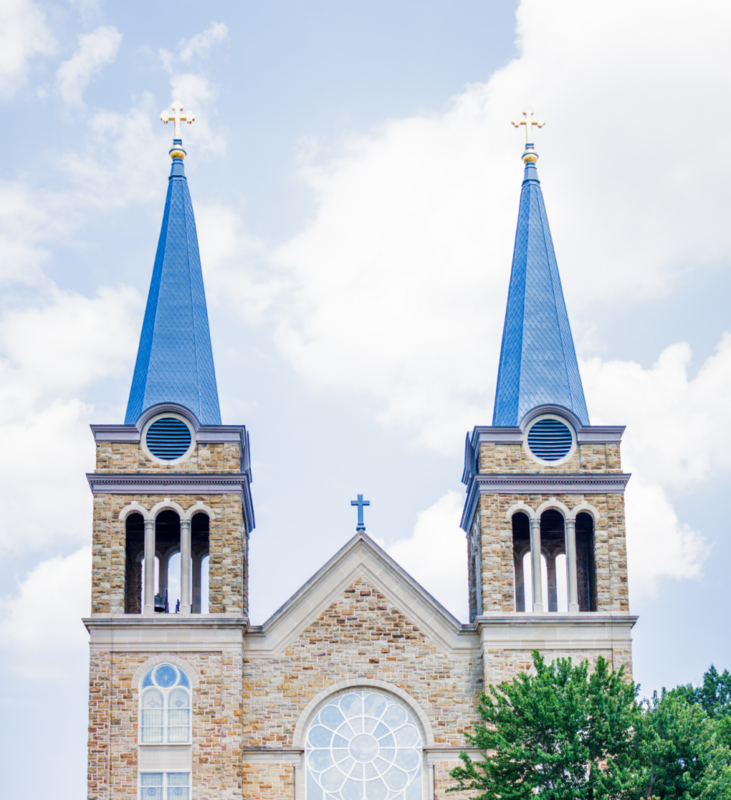 Historic Episcopal Chruch renovated with new rauten copper roof in 2012. 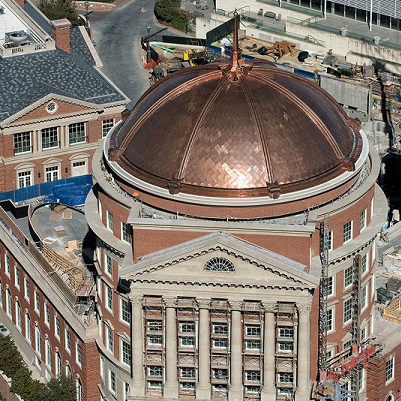 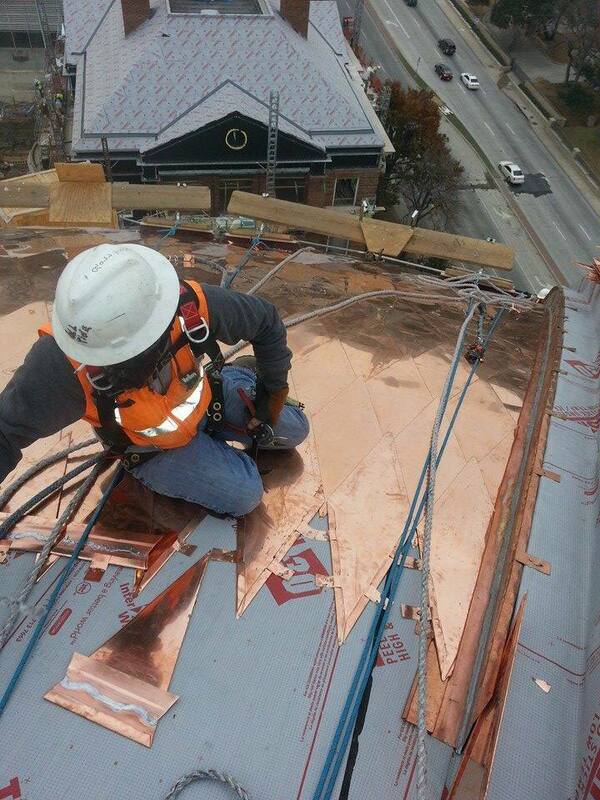 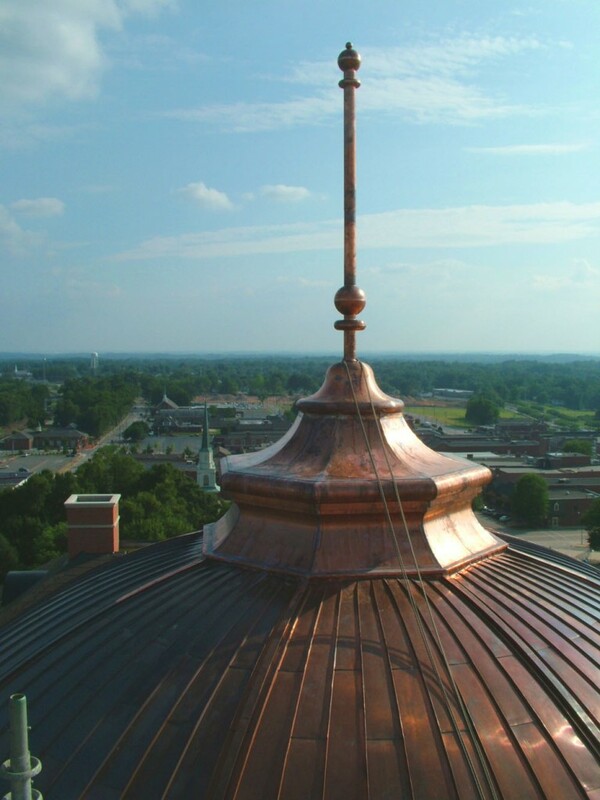 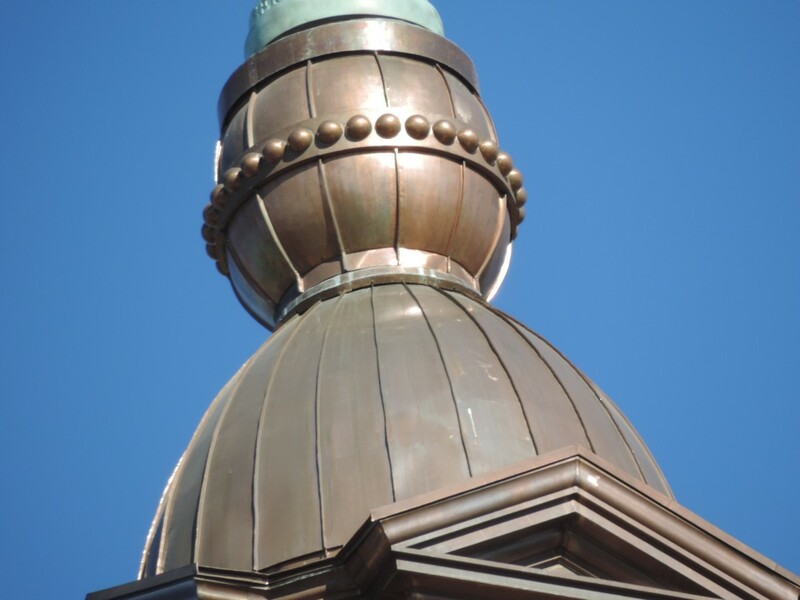 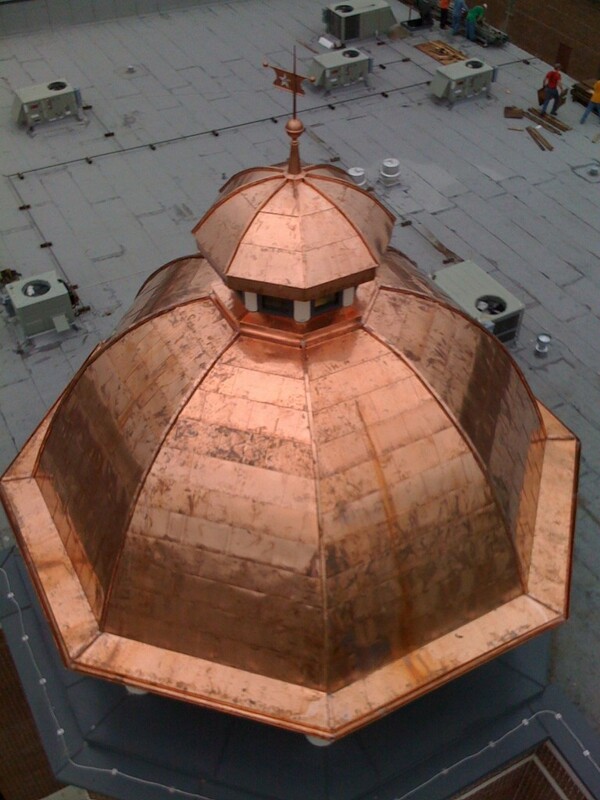 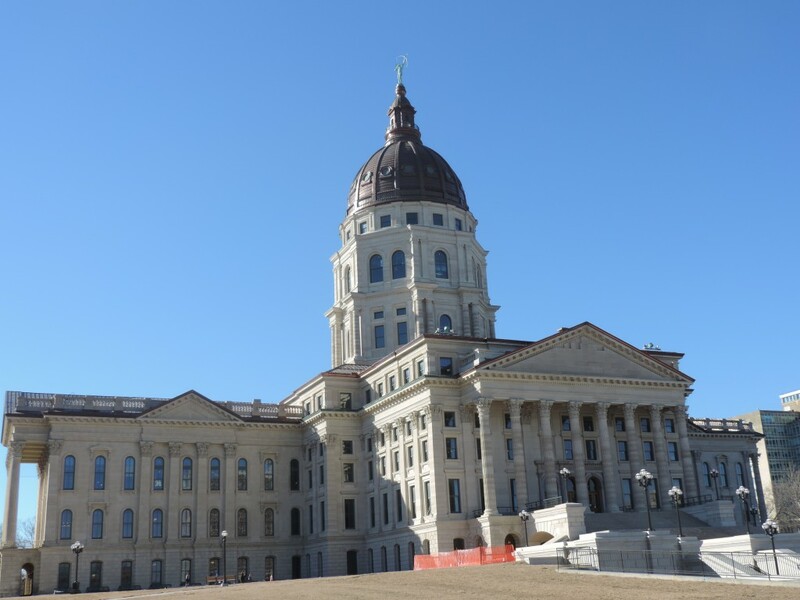 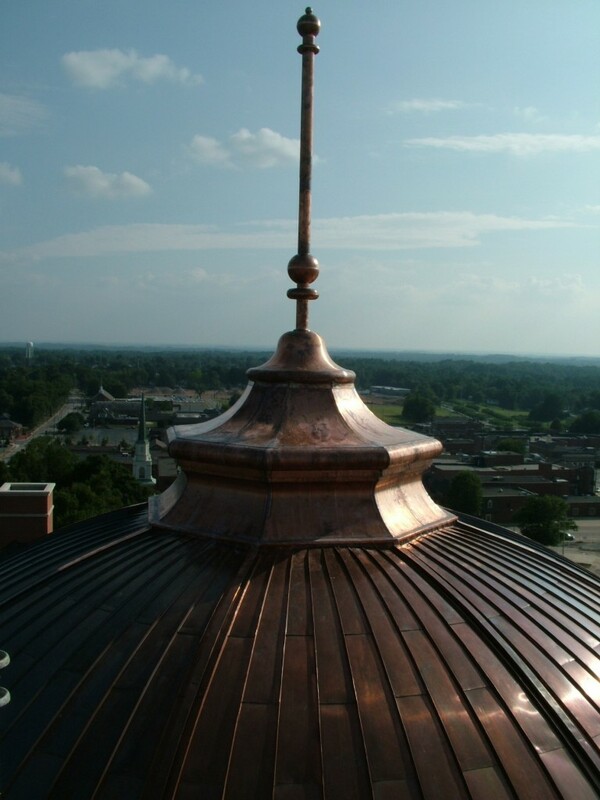 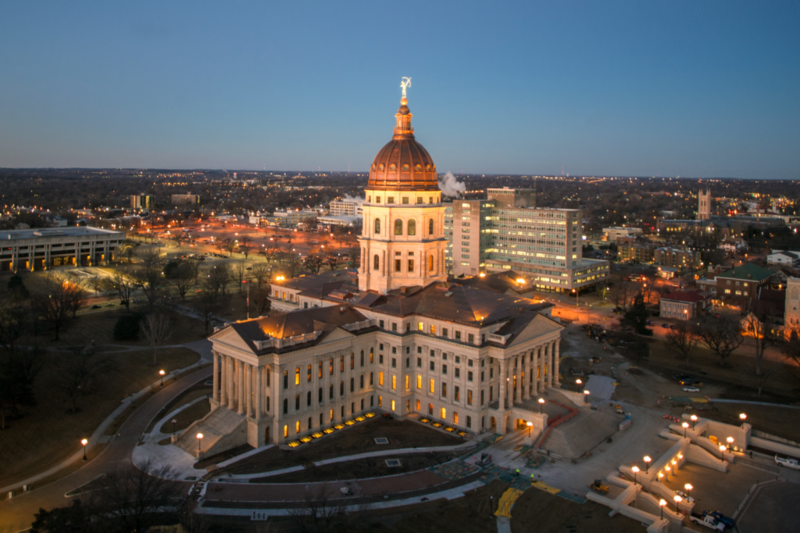 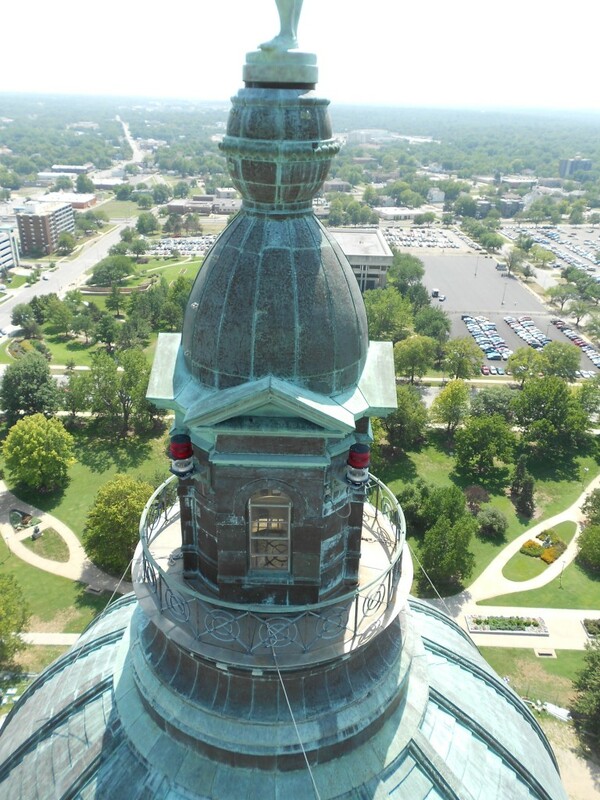 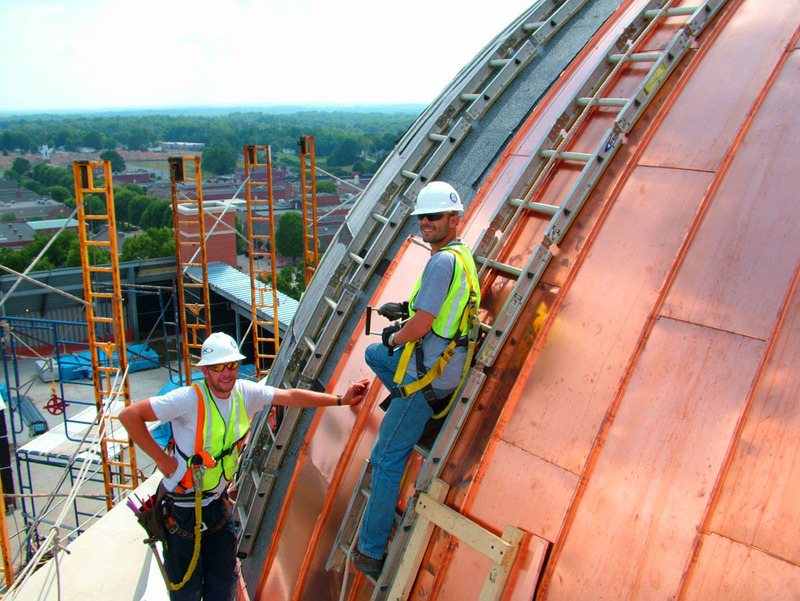 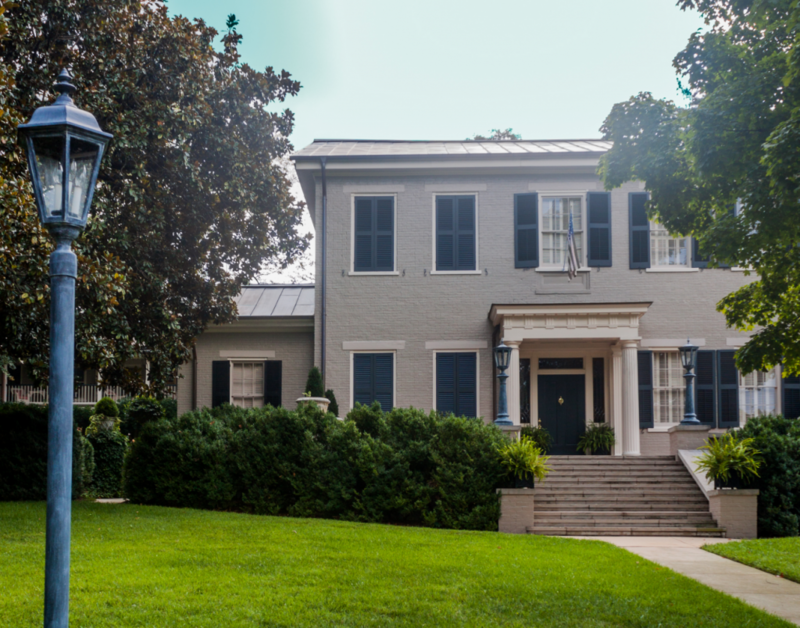 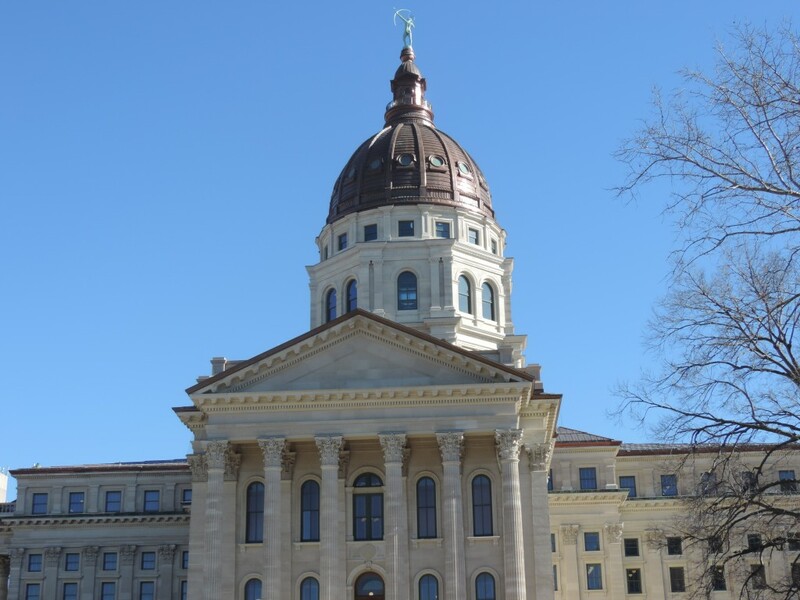 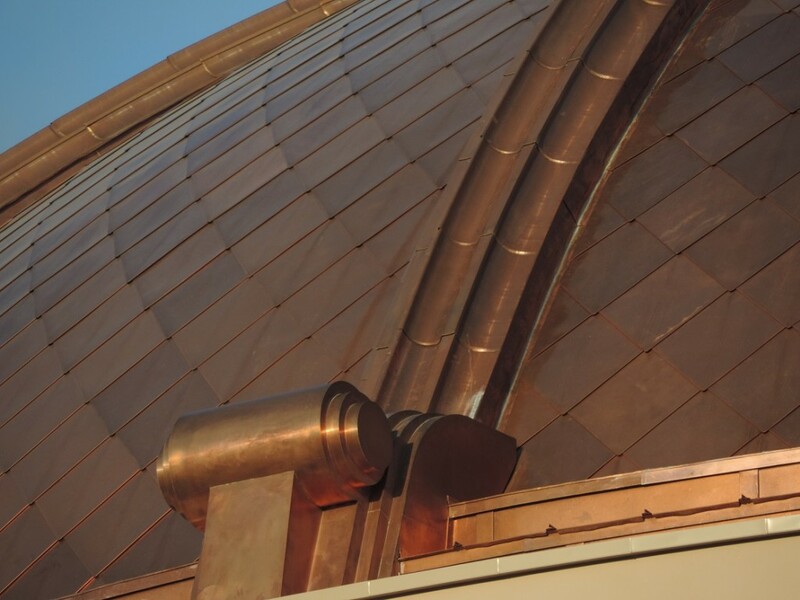 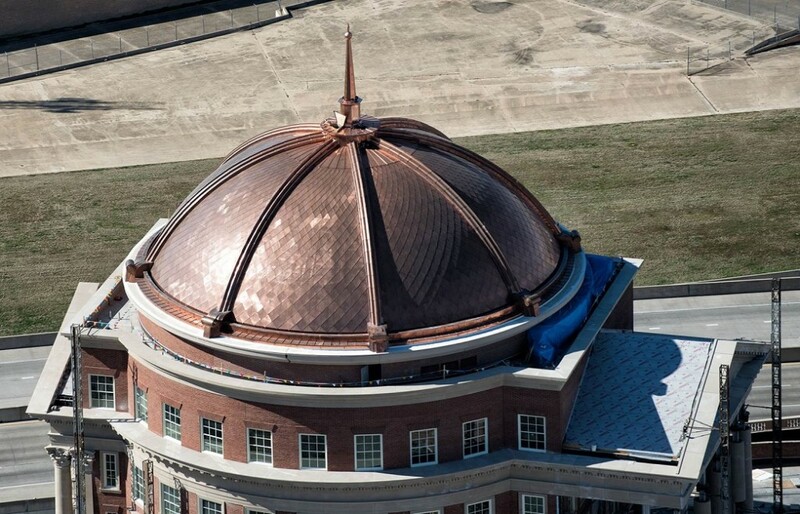 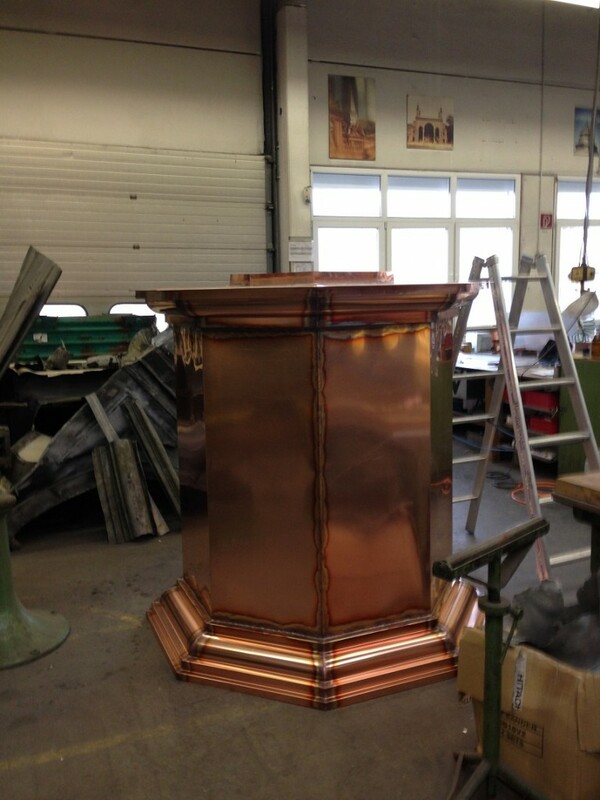 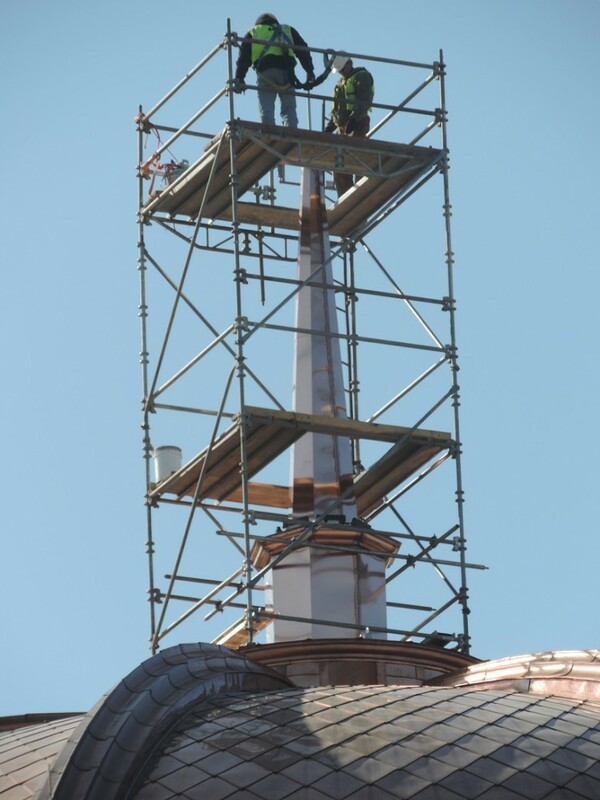 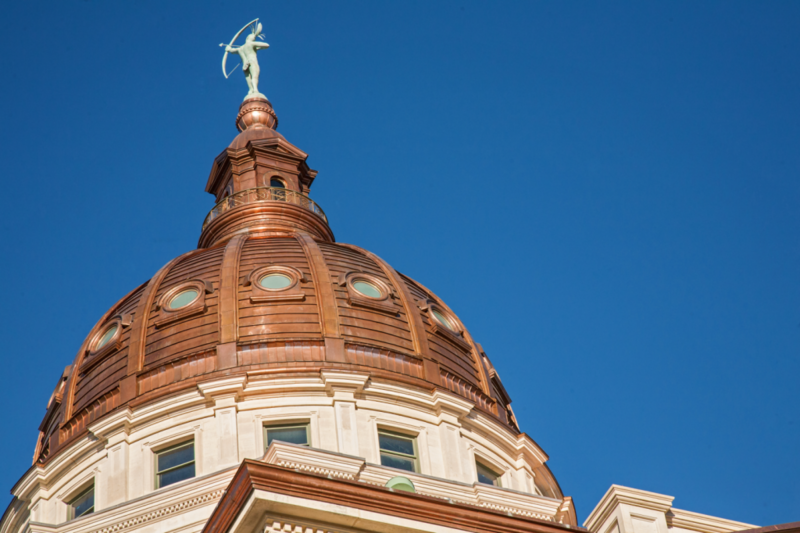 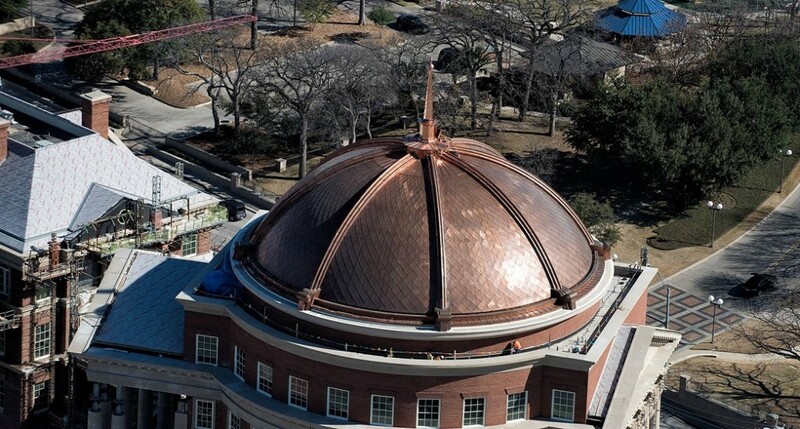 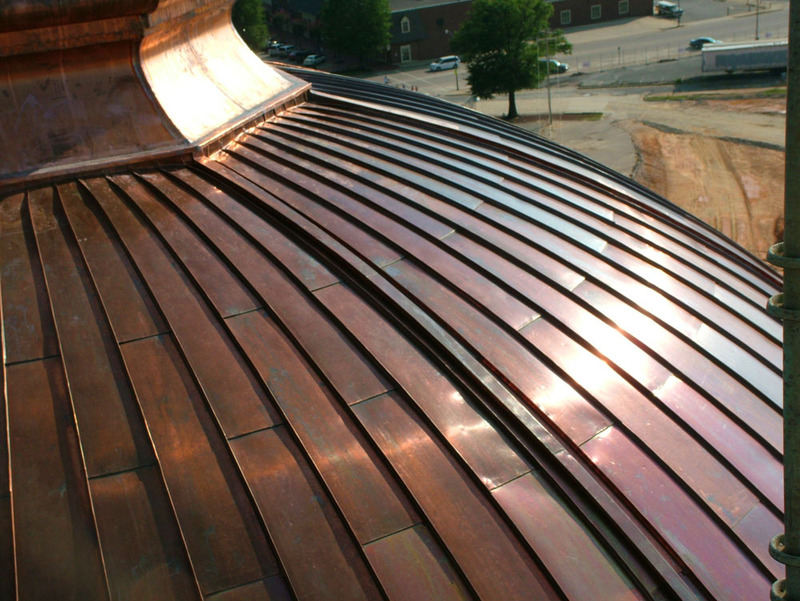 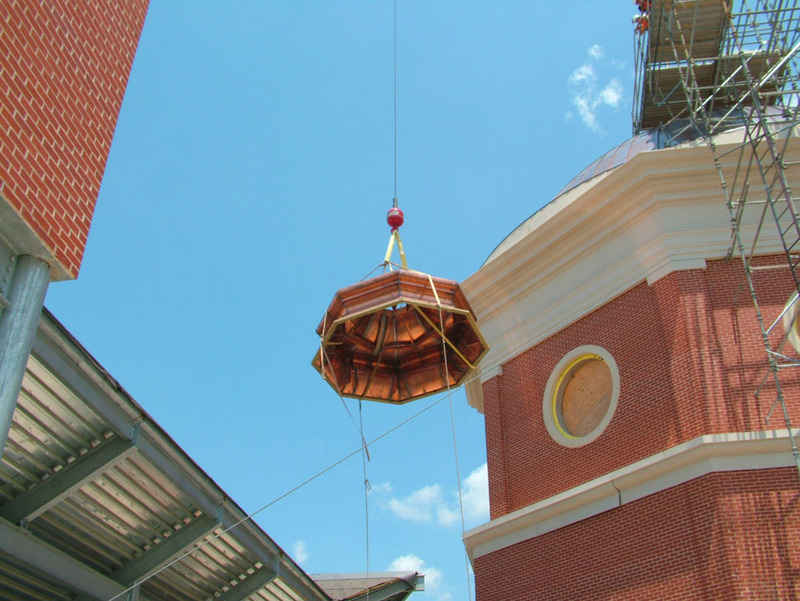 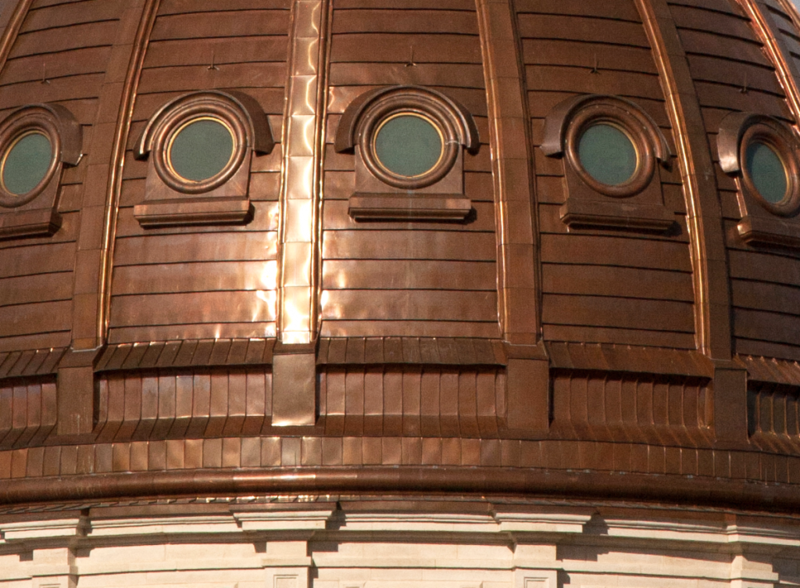 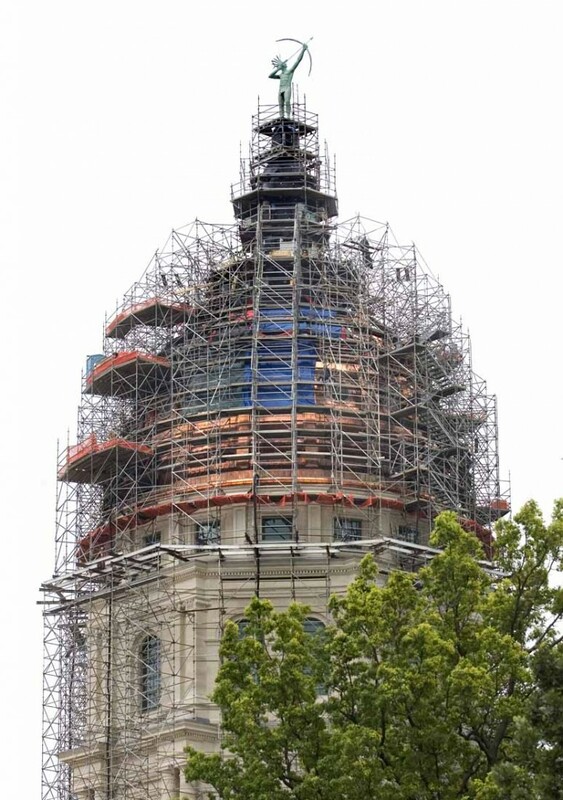 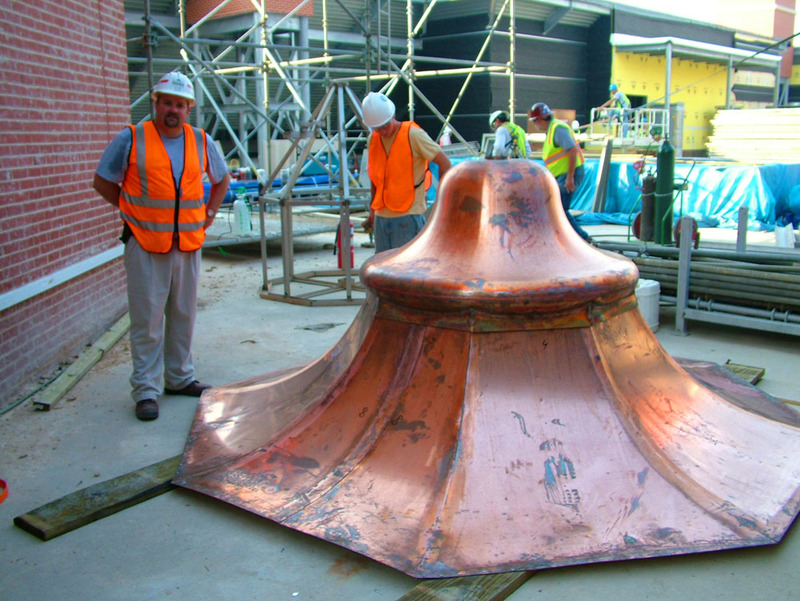 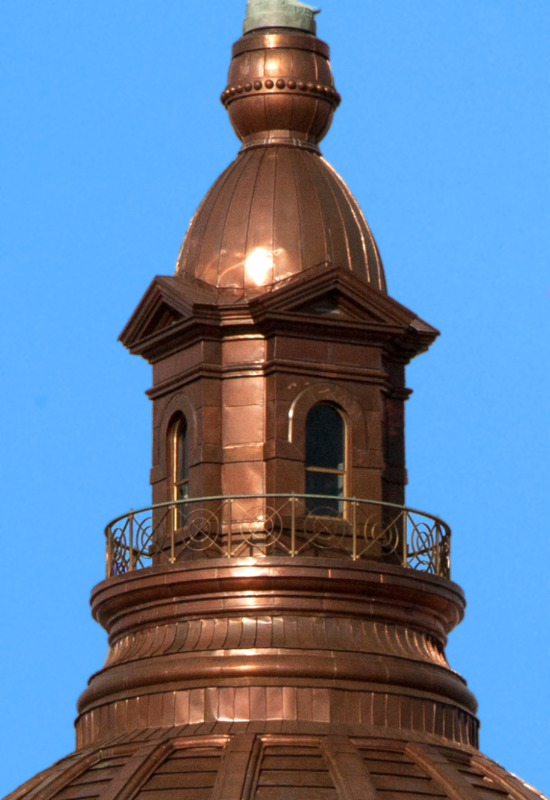 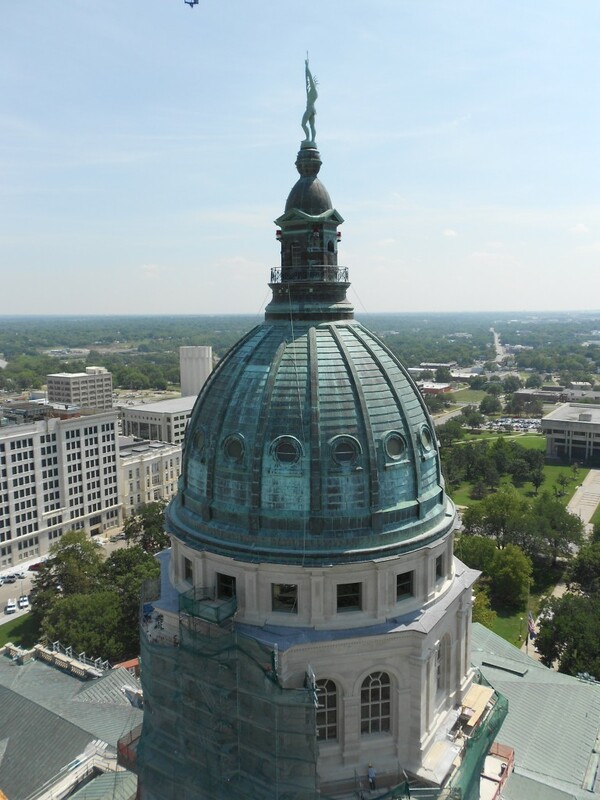 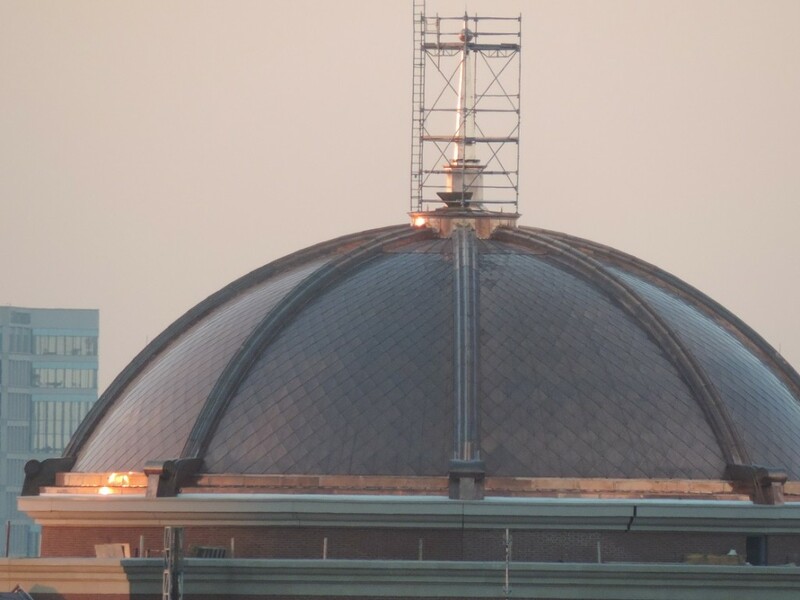 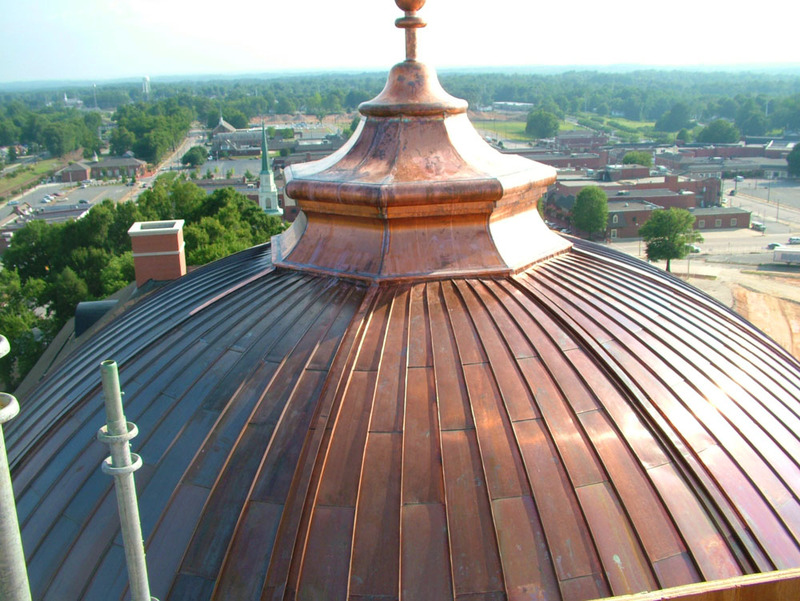 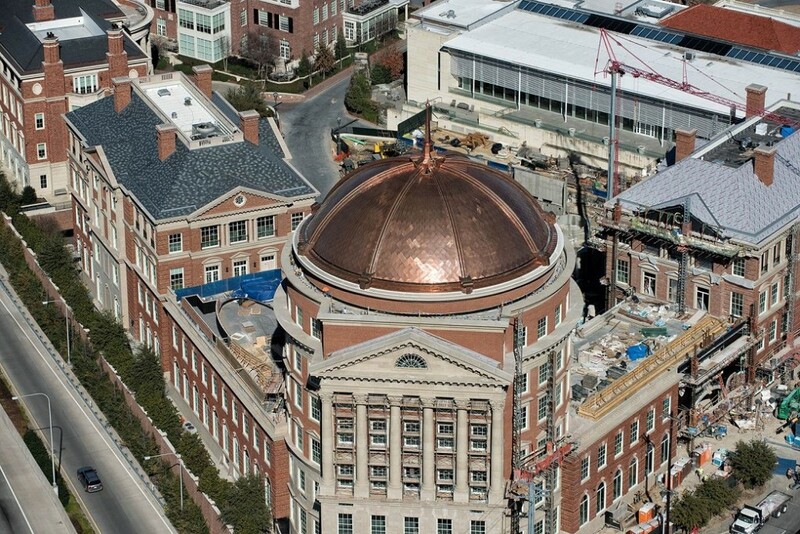 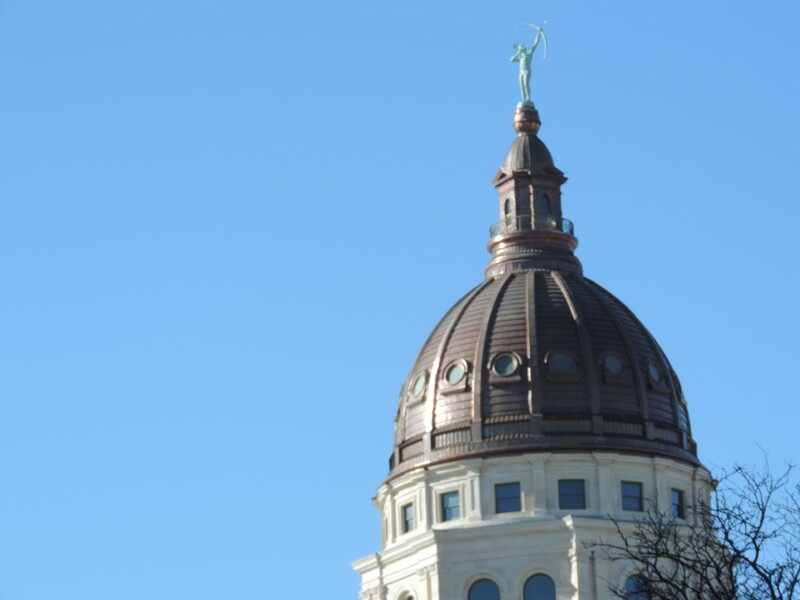 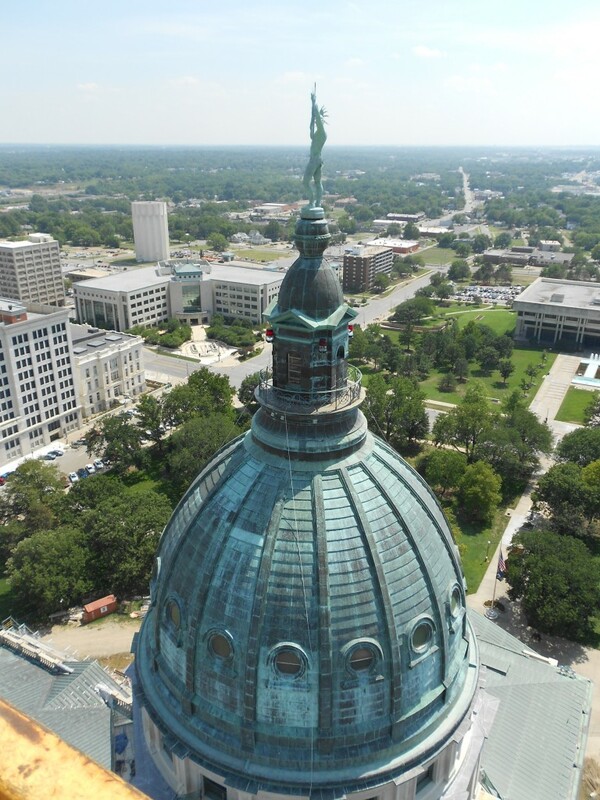 Statehouse restored with new copper roof in cooperation with Baker Roofing in 2013. 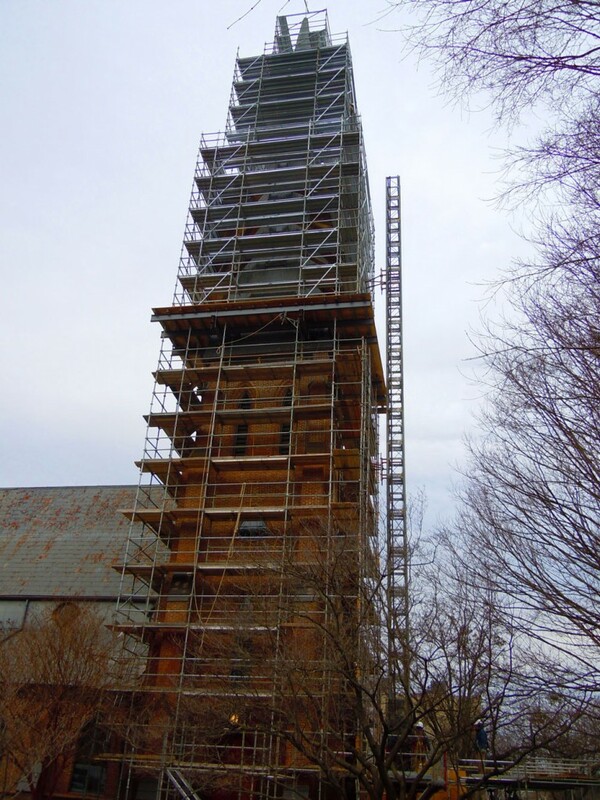 Historic campus under restoration. 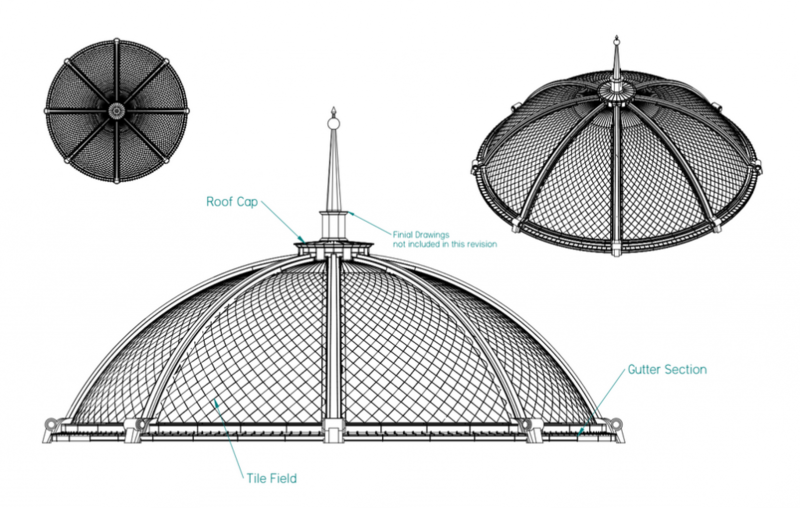 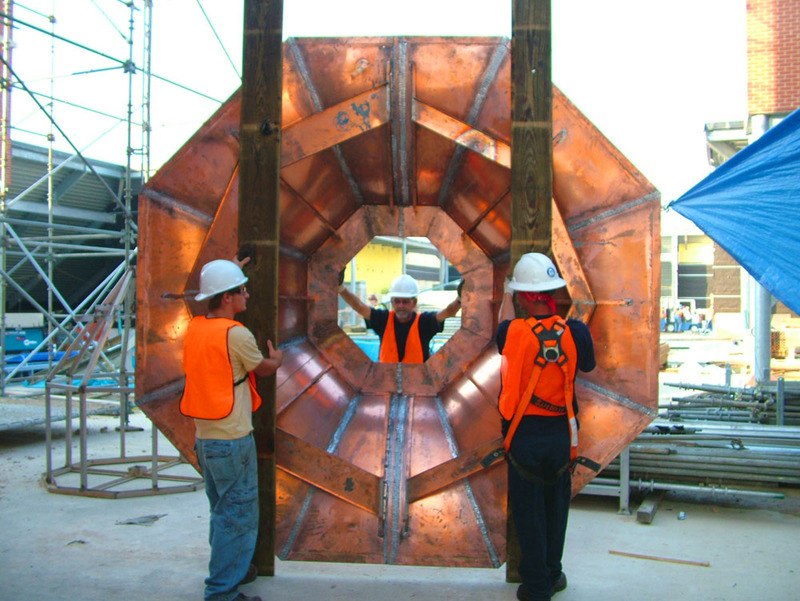 The following are Copperworks renderings of the future dome. 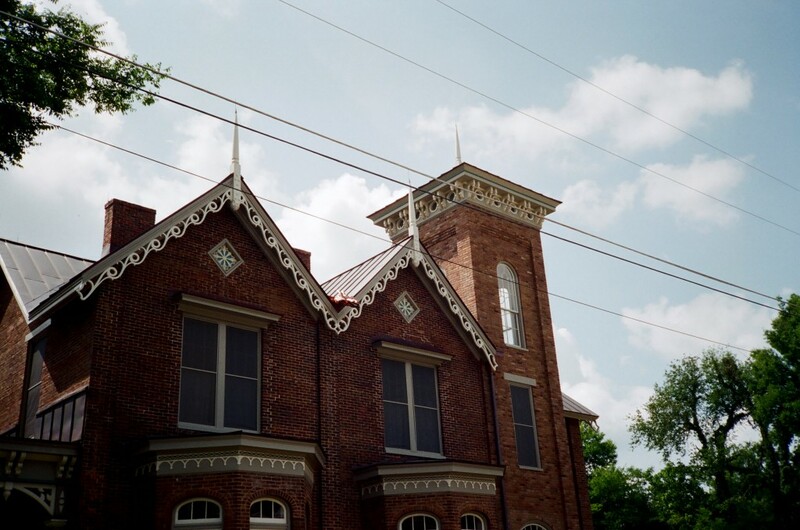 Photos 17, 18, 19, 20: Jim Wilson Photography.